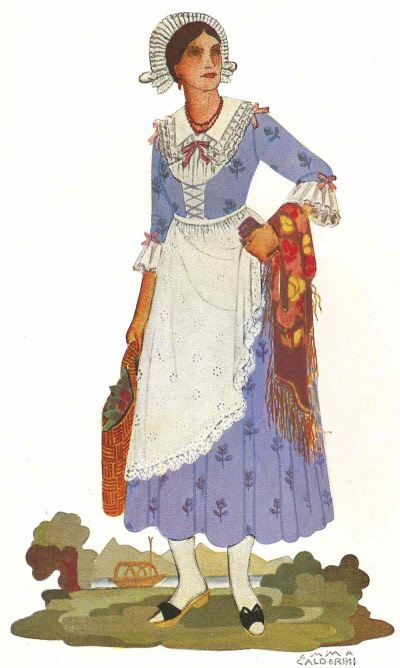 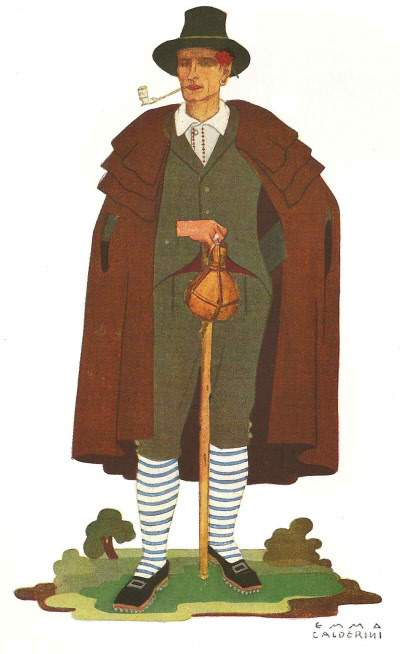 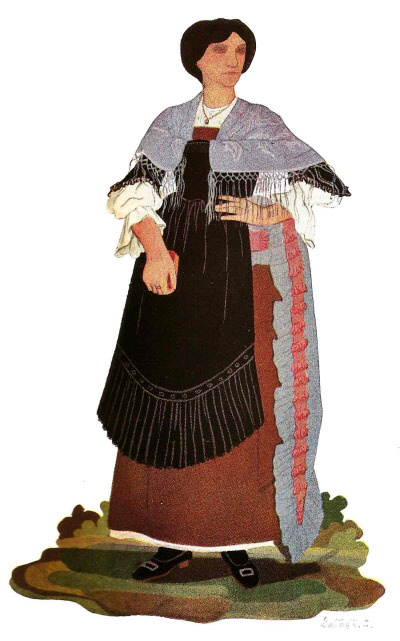 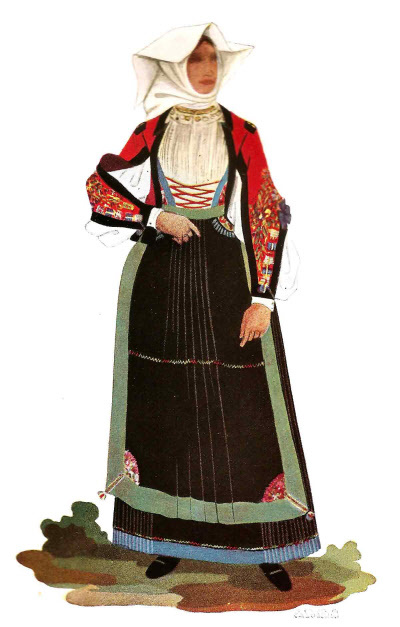 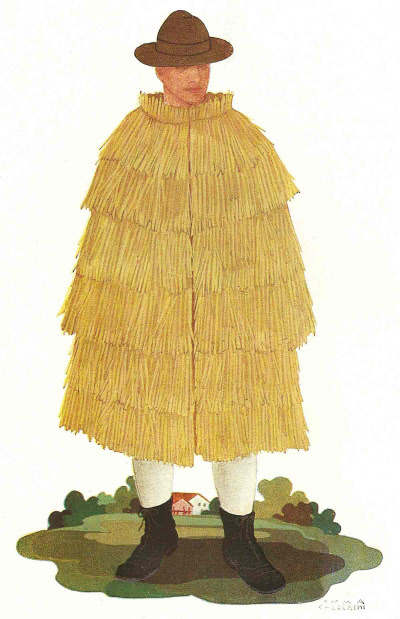 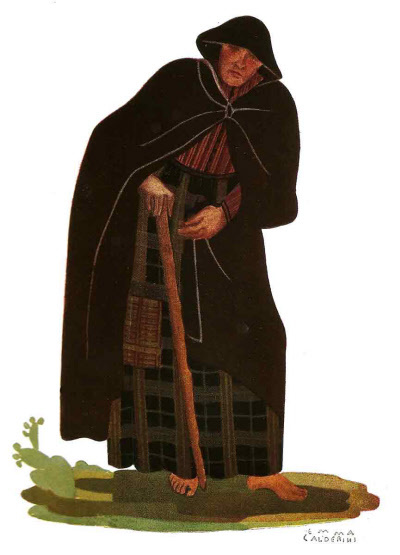 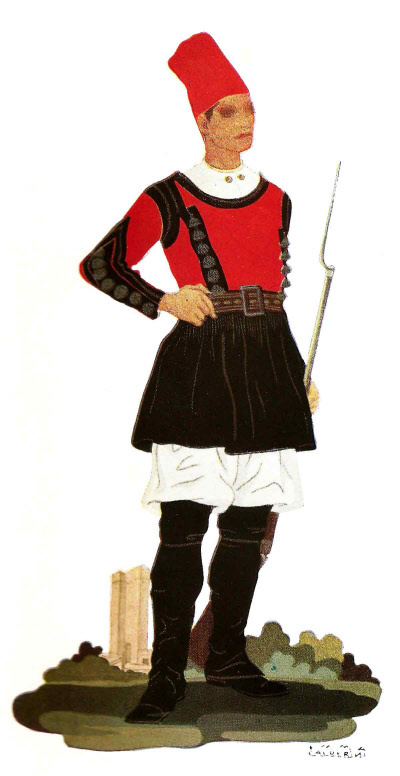 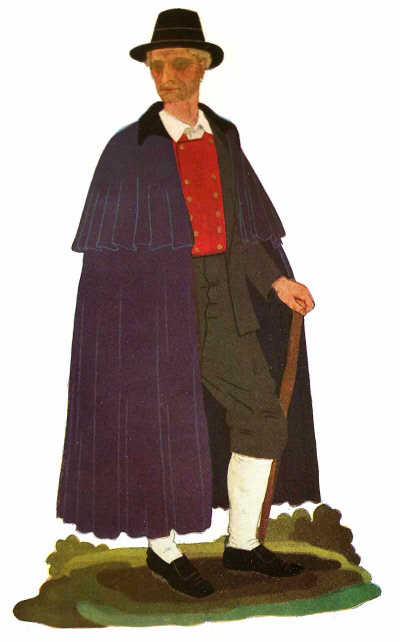 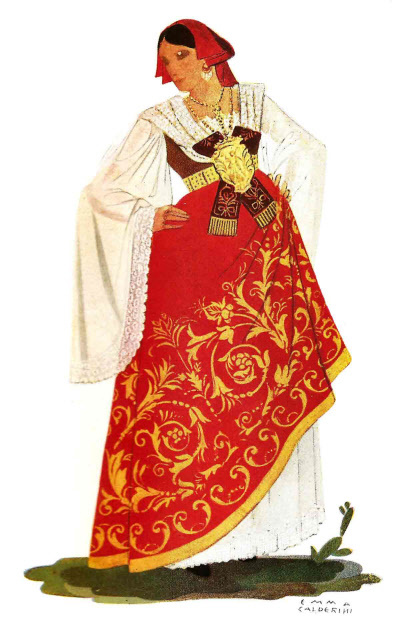 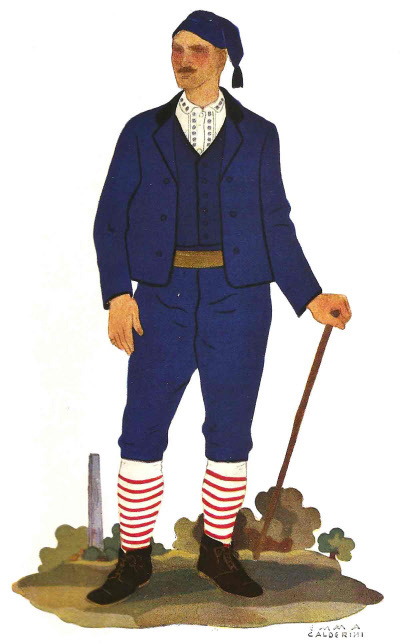 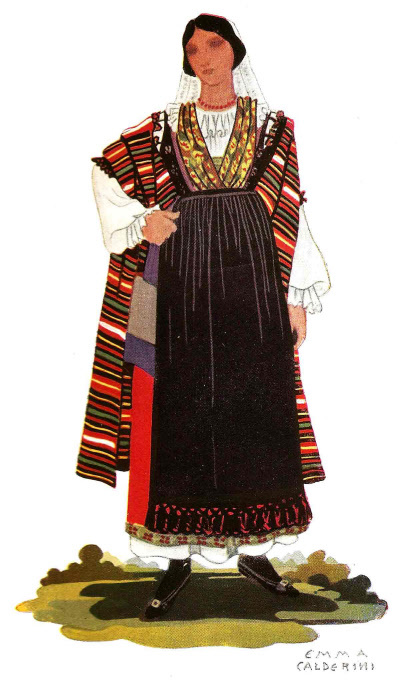 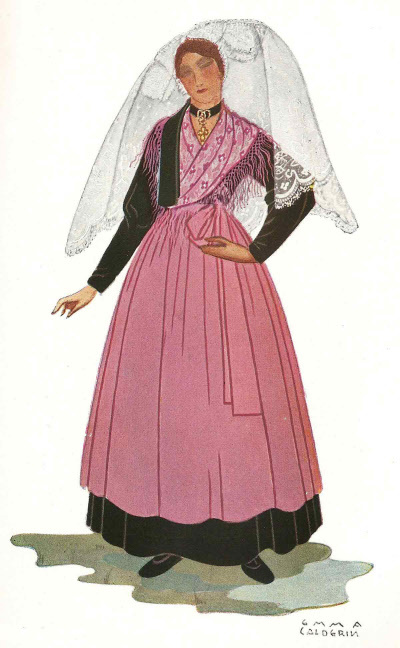 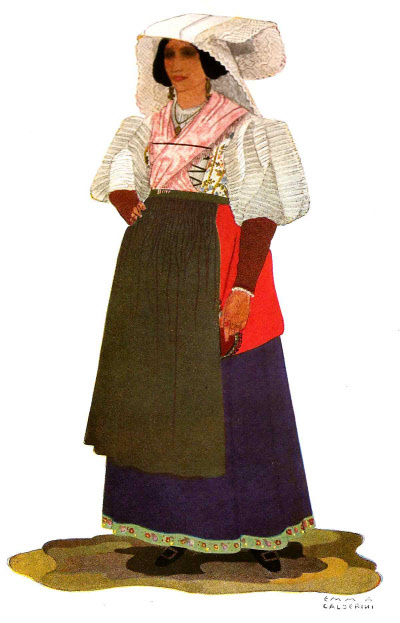 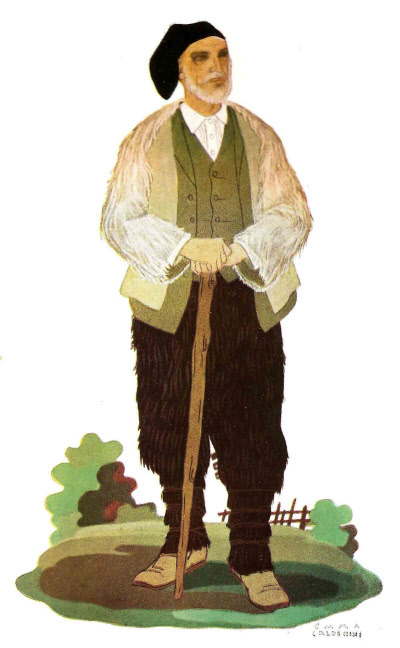 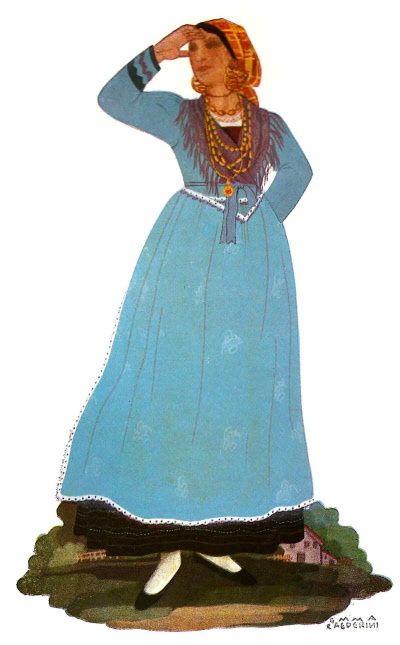 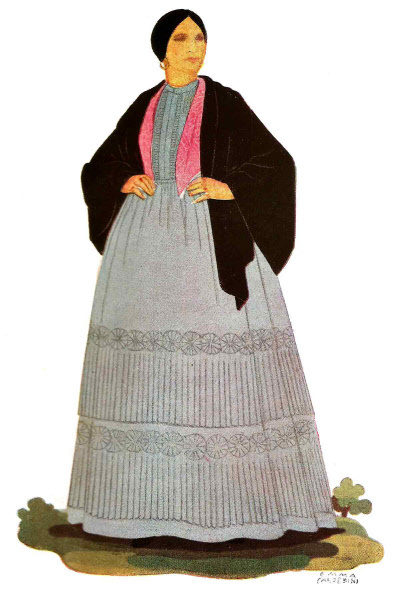 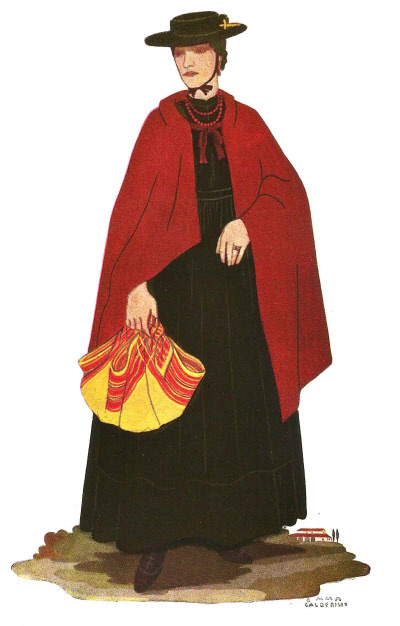 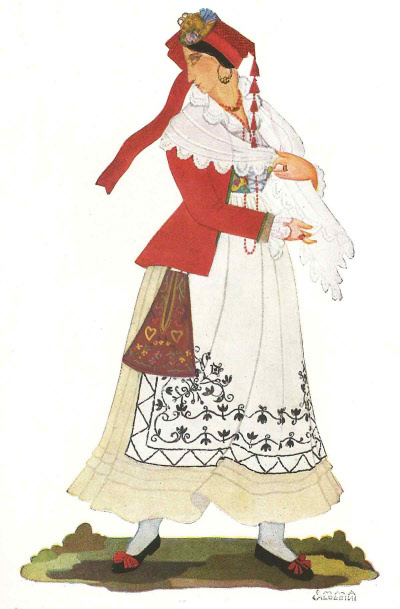 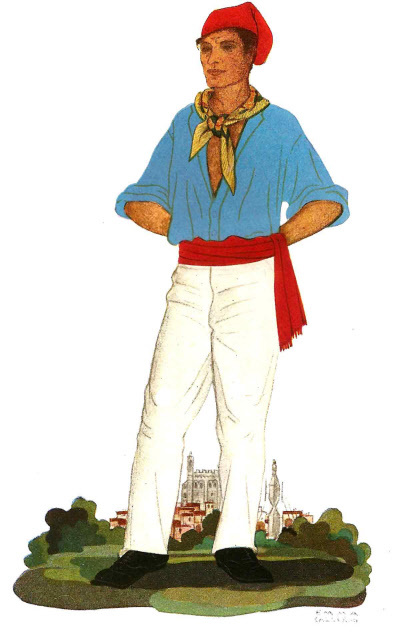 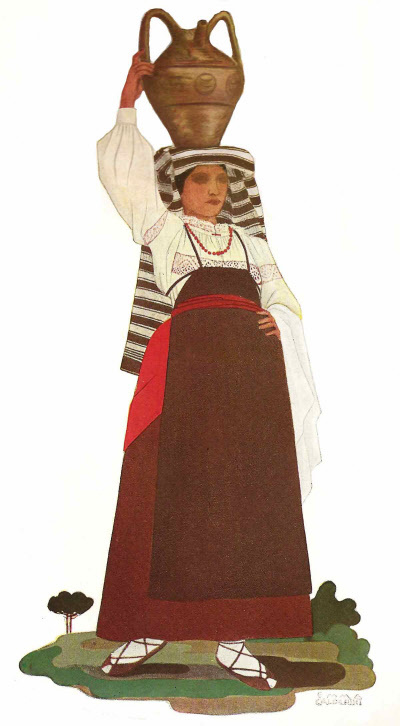 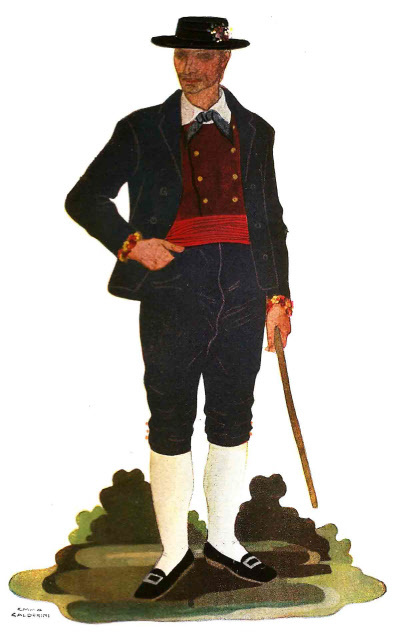 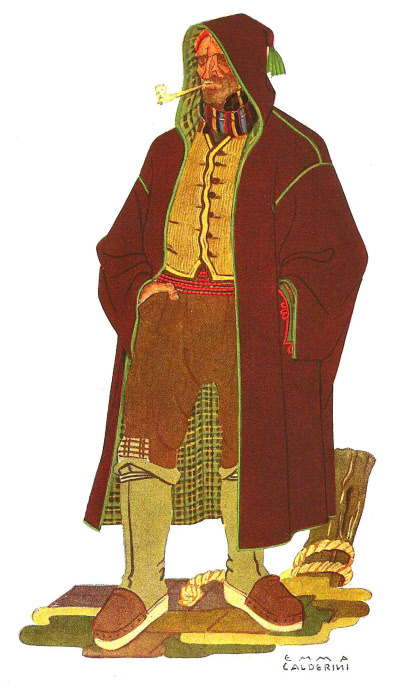 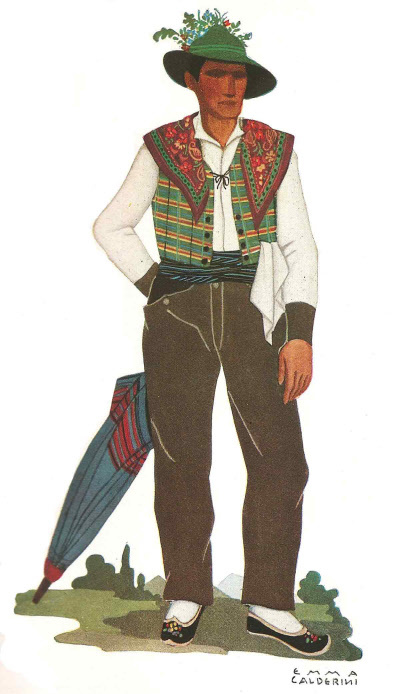 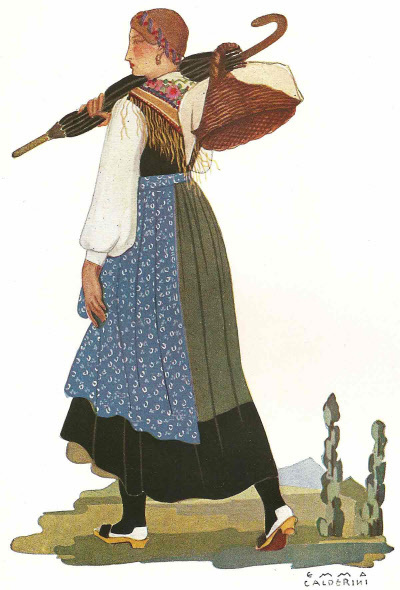 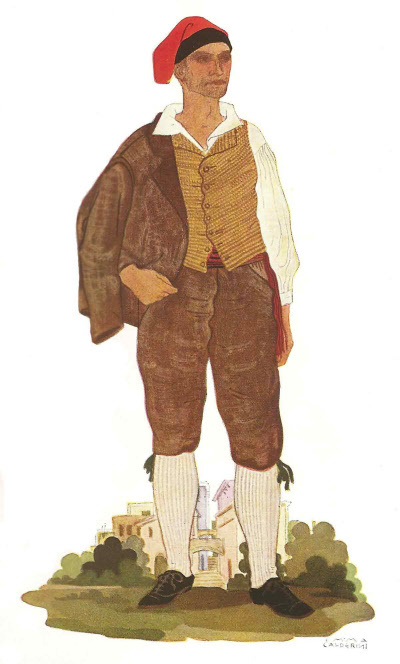 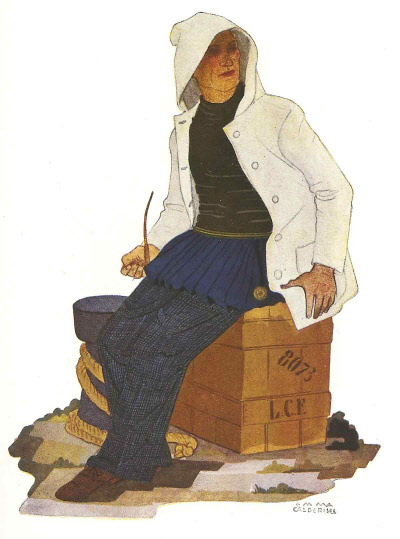 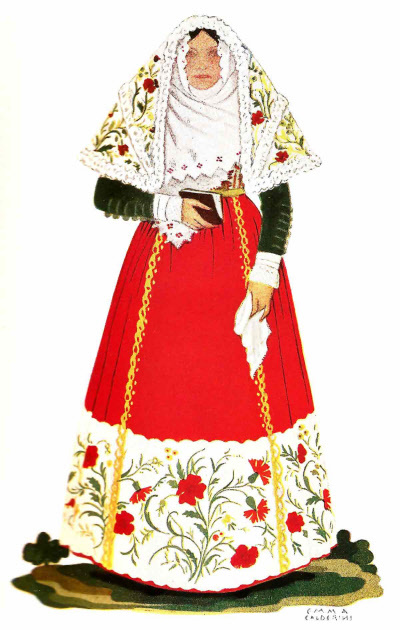 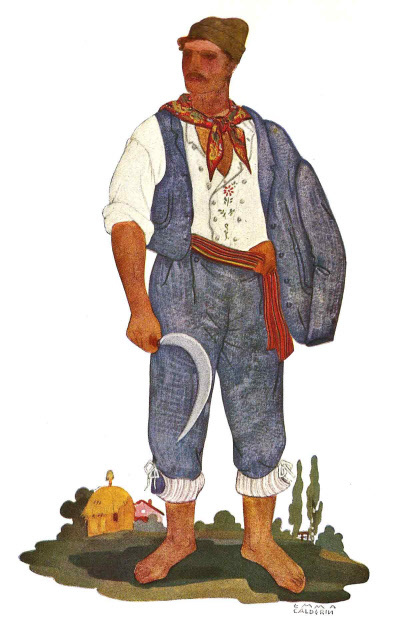 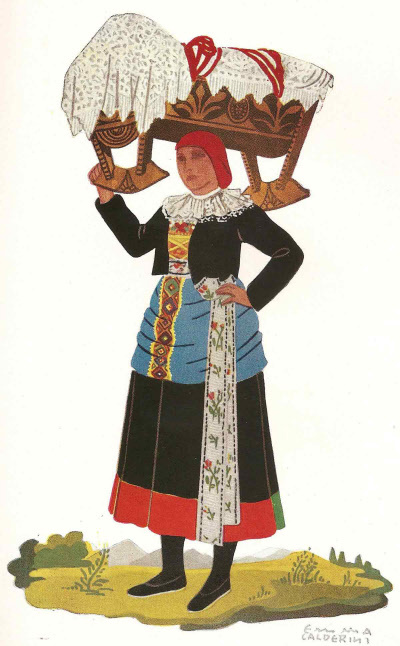 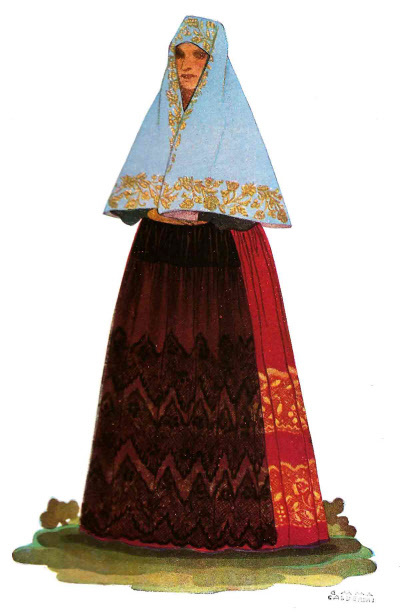 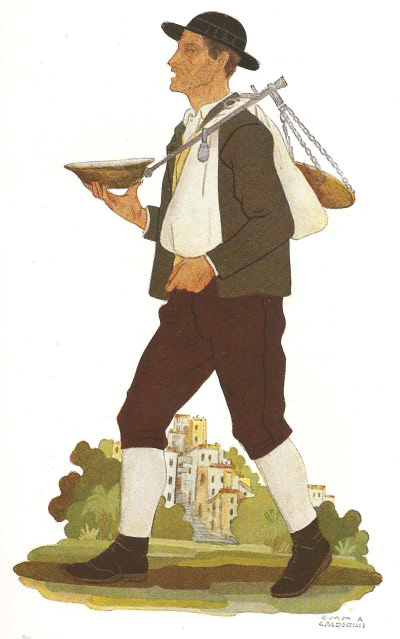 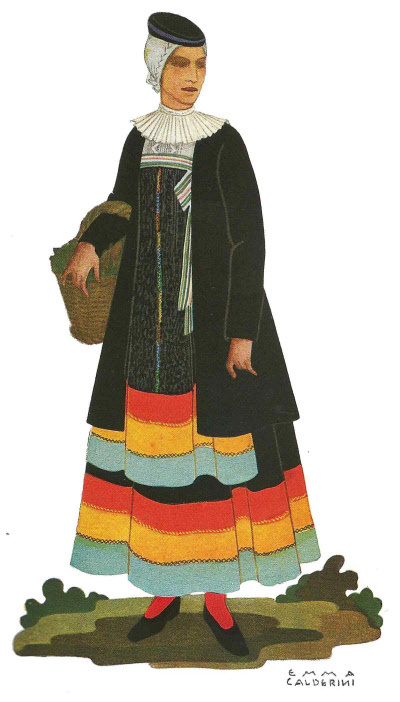 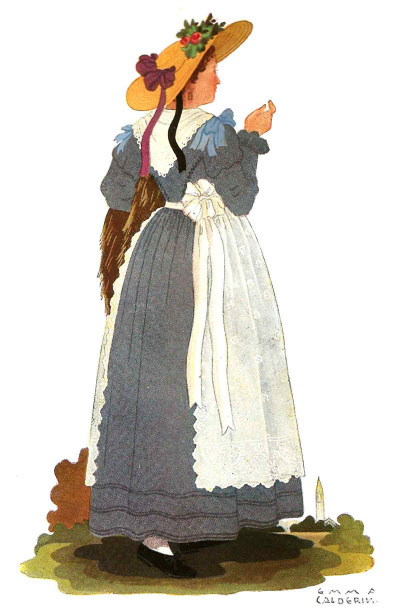 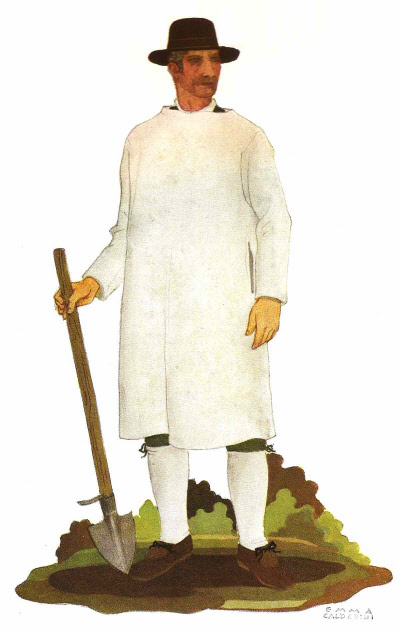 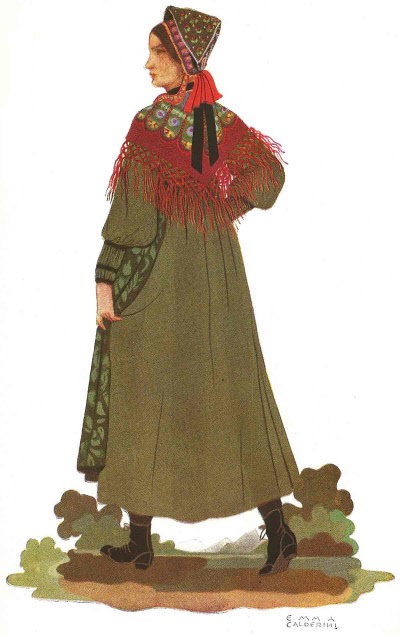 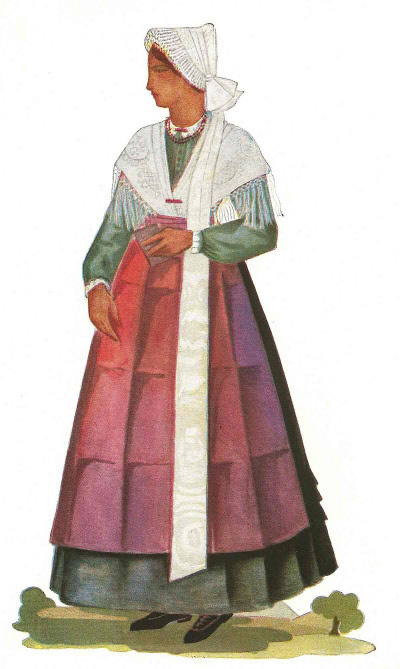 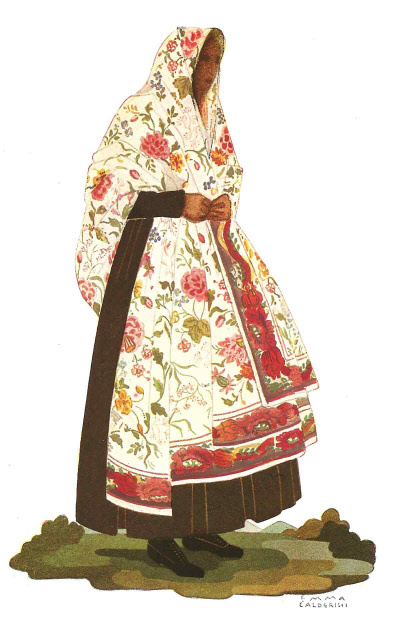 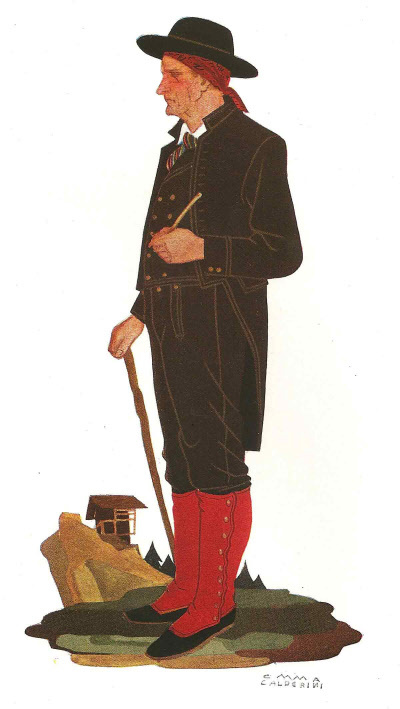 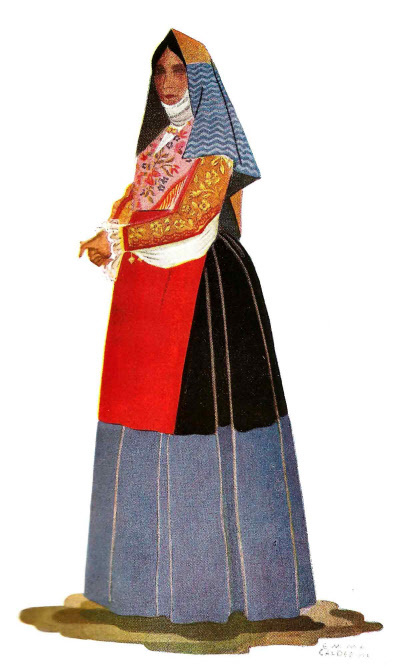 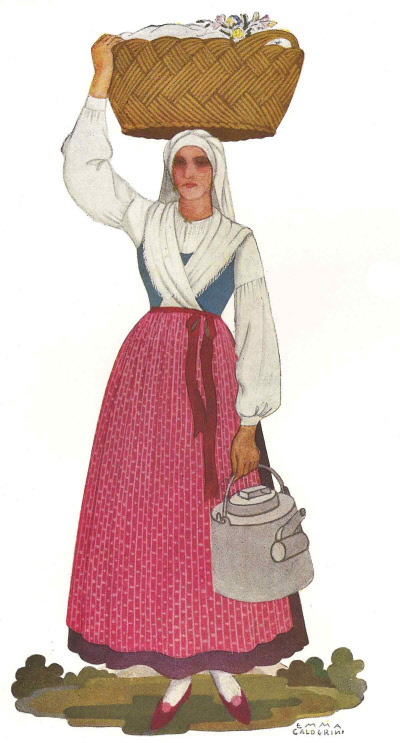 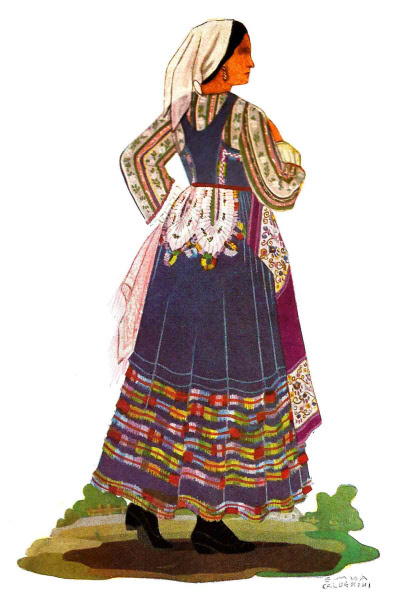 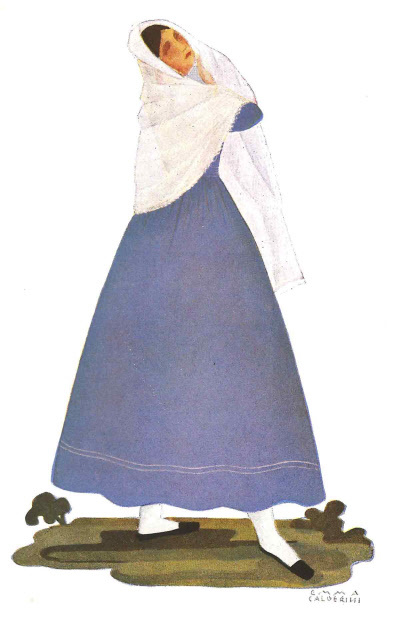 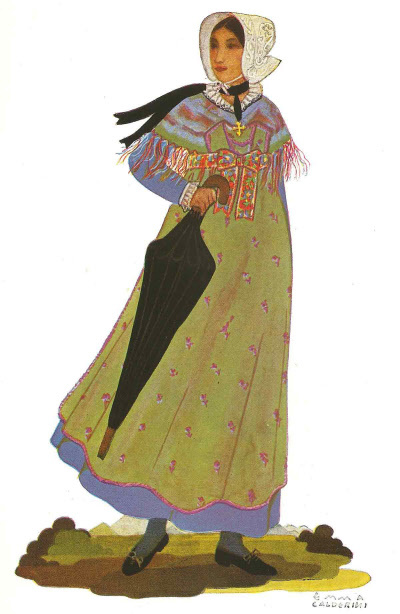 This page contains the 200 colorplates from the book, Il Costume popolare in Italia, by Emma Calderini, published in 1946 by Sterling & Kupfer, Milano. 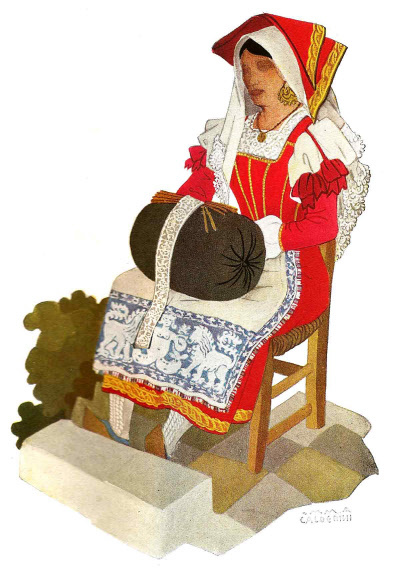 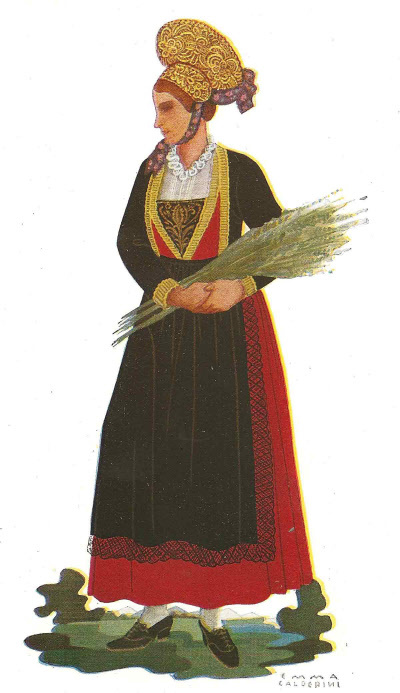 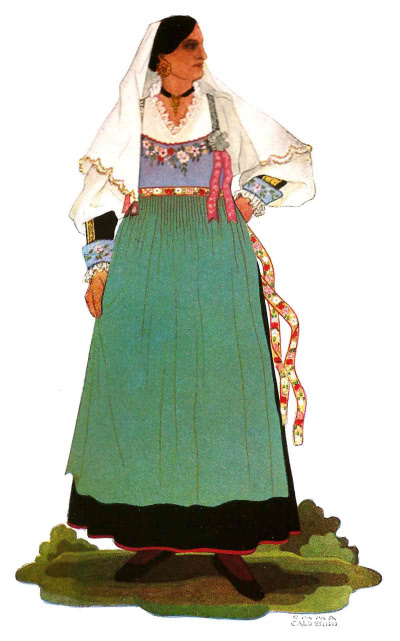 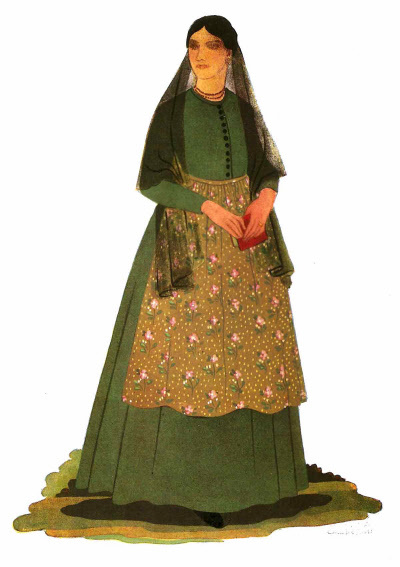 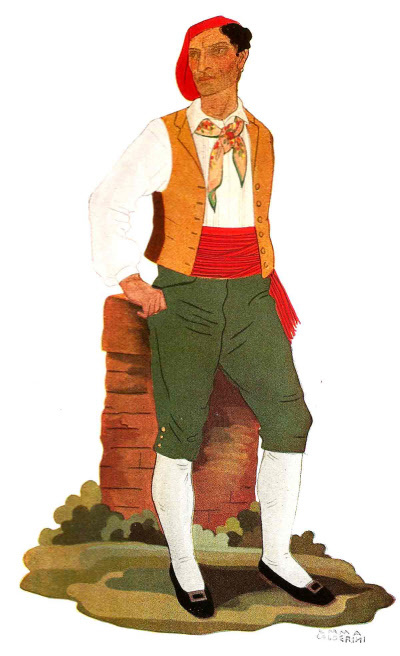 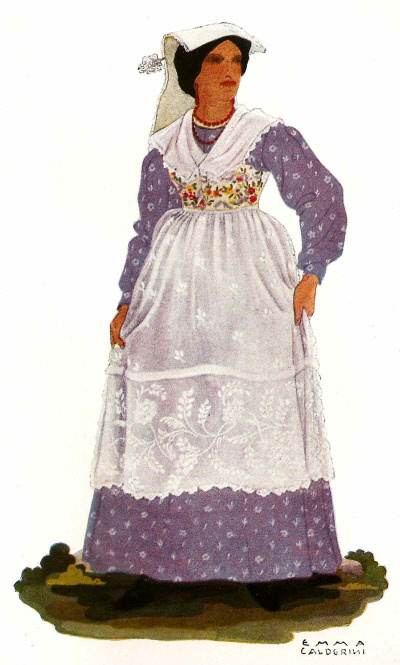 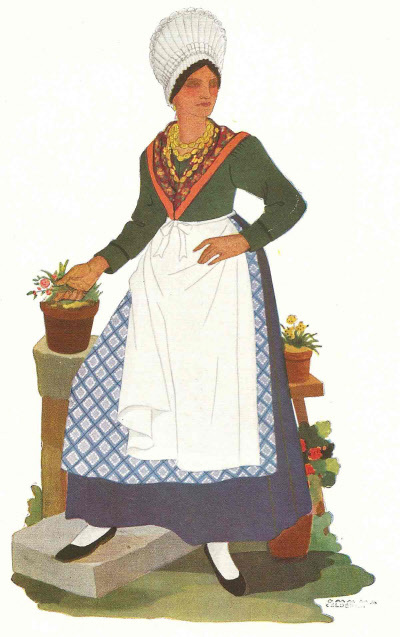 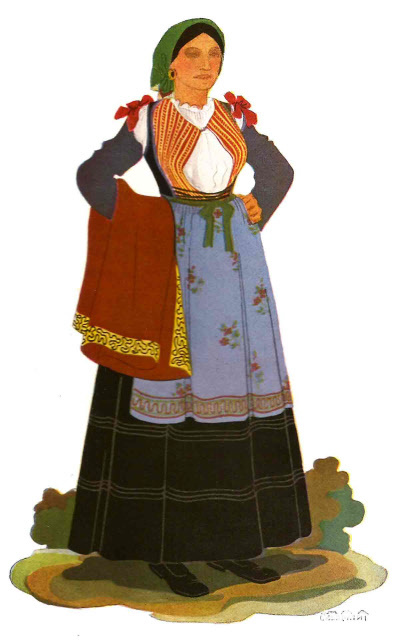 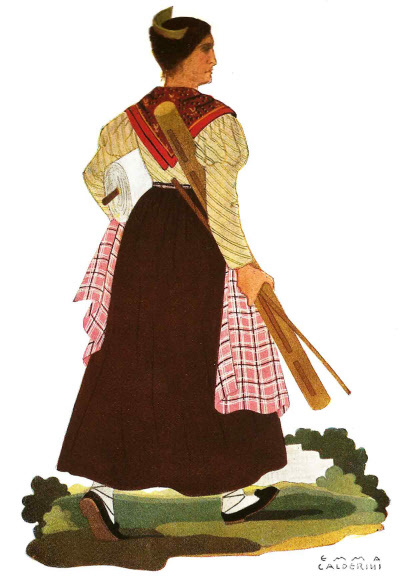 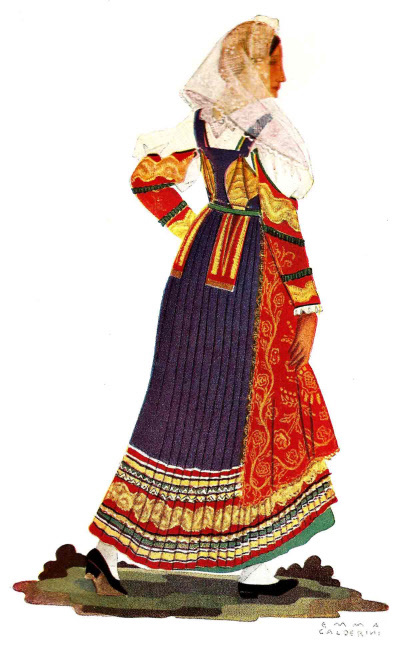 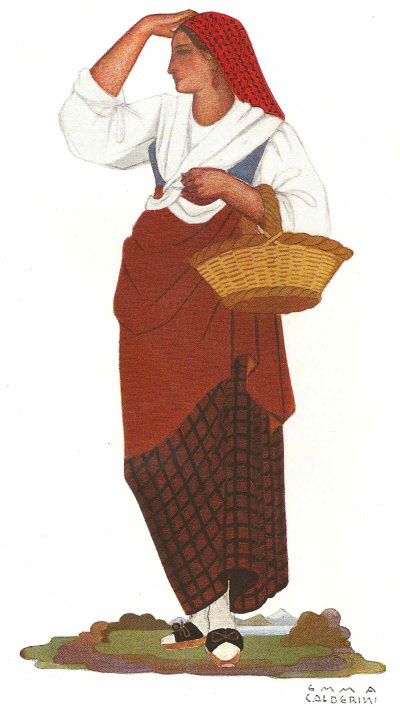 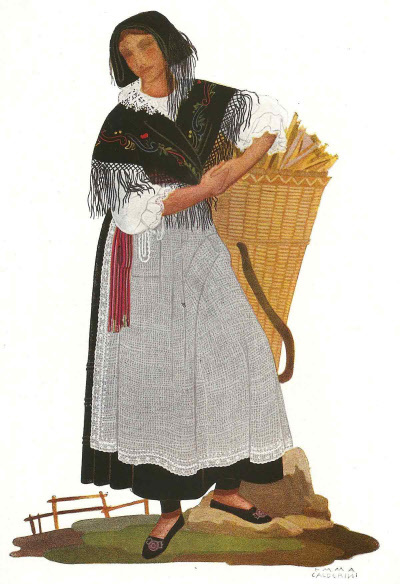 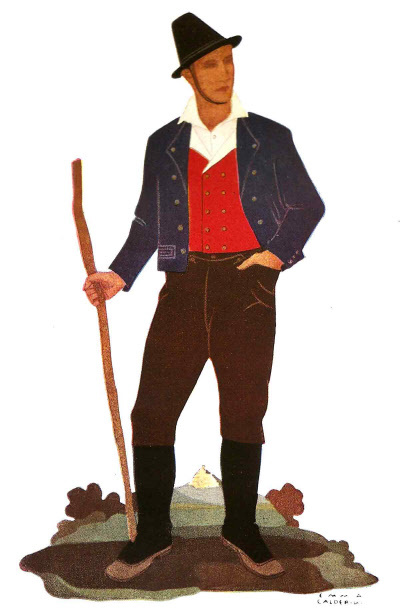 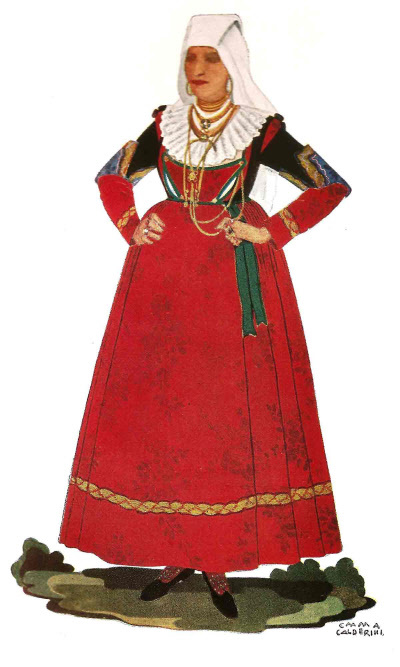 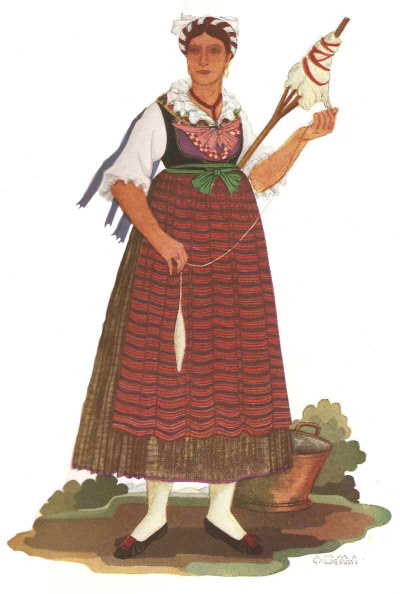 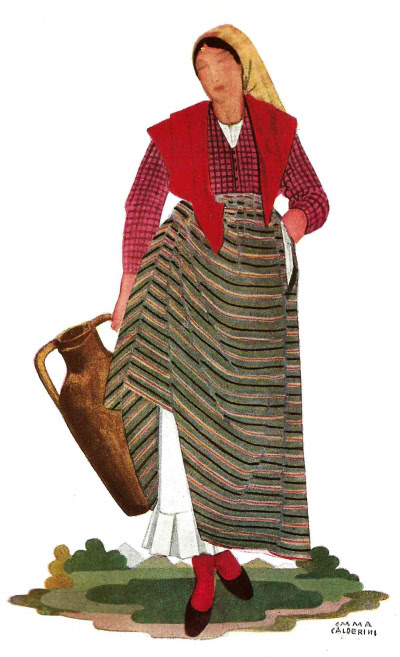 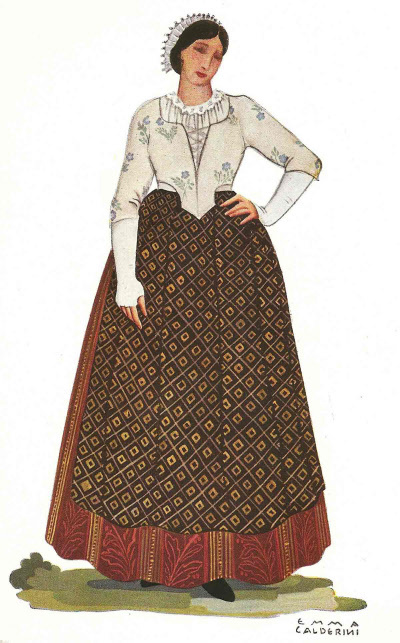 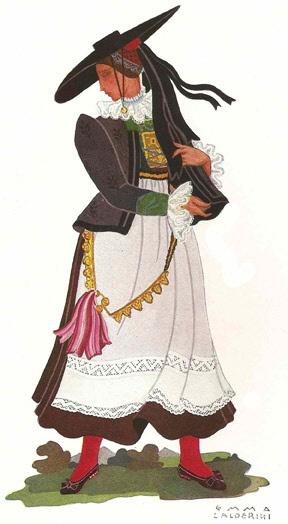 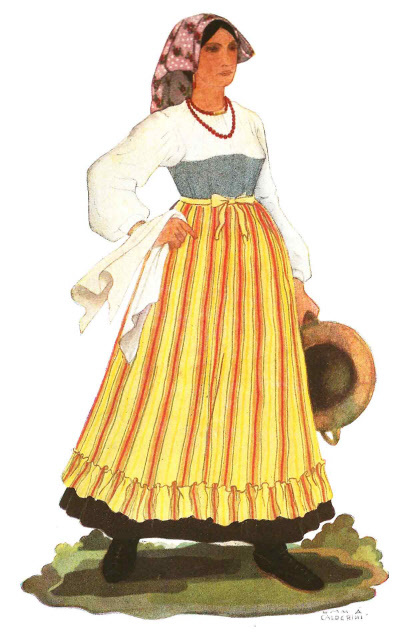 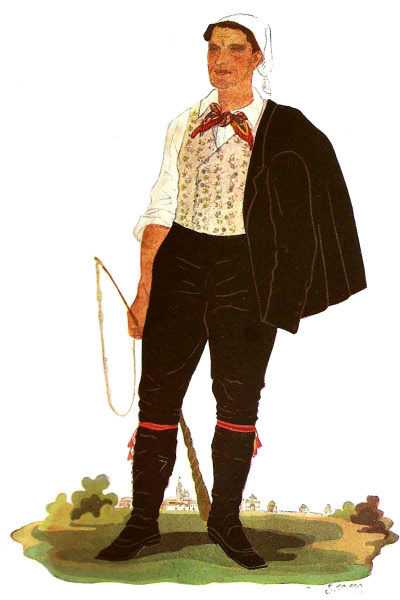 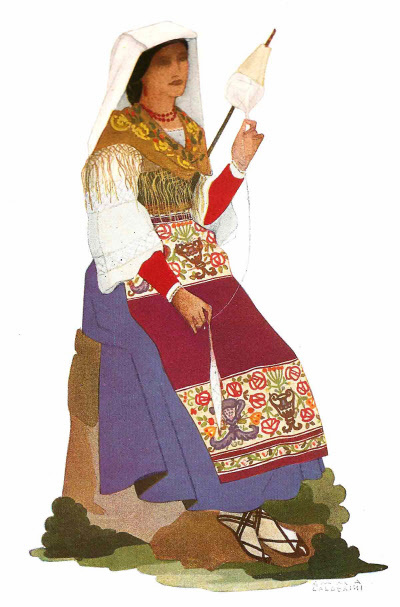 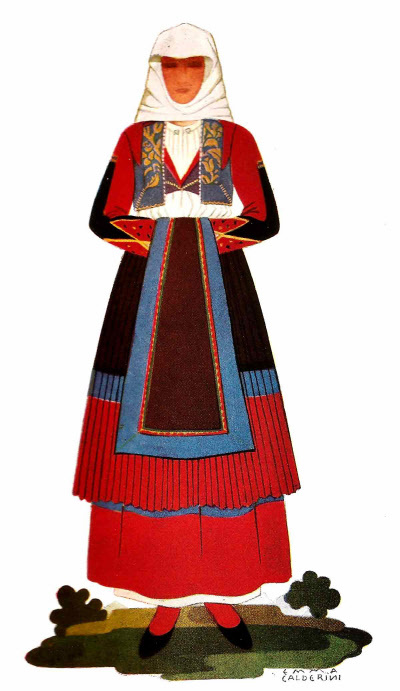 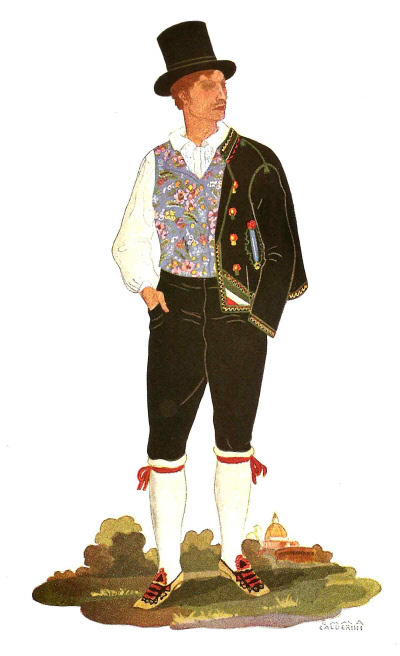 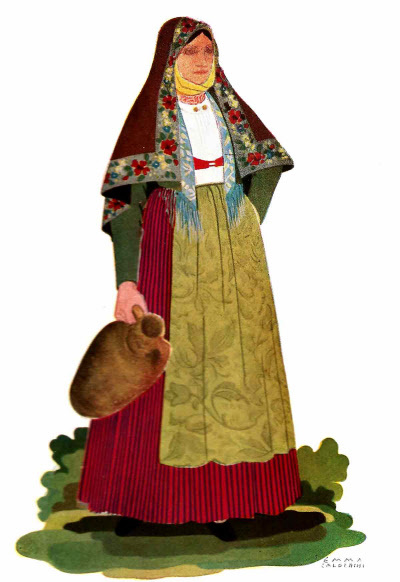 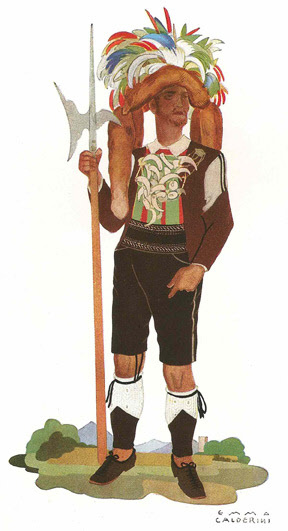 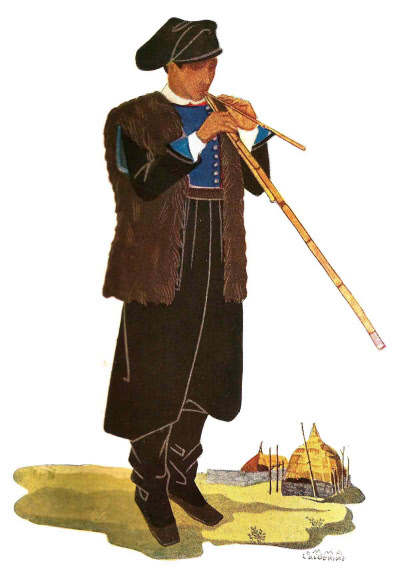 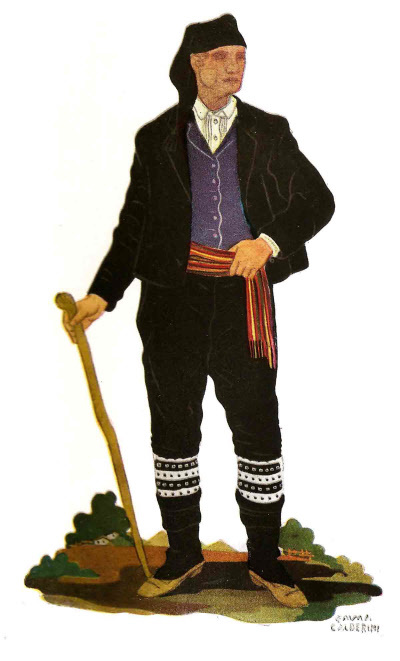 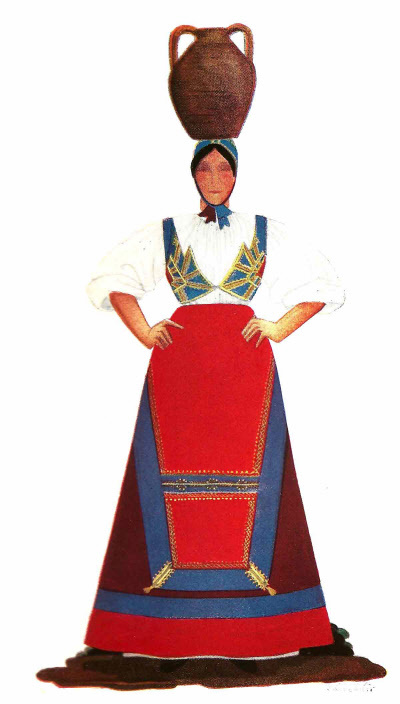 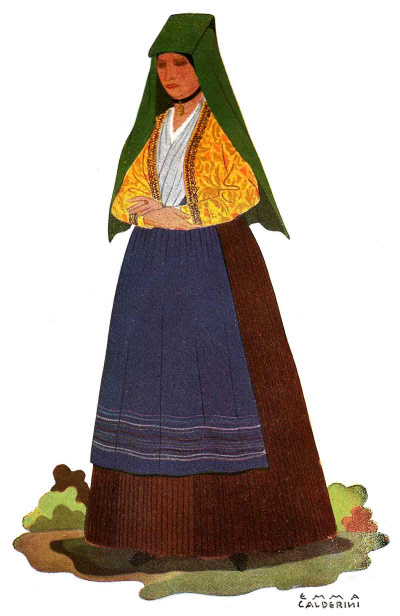 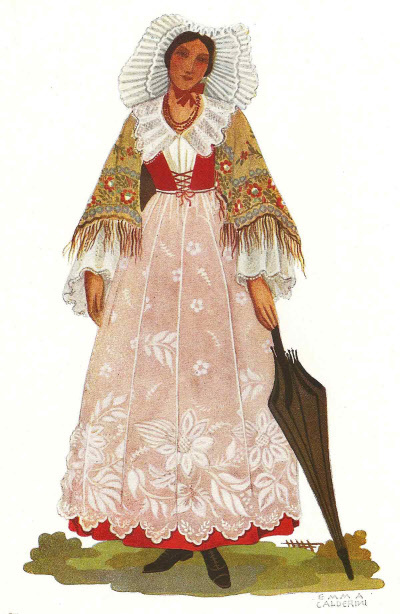 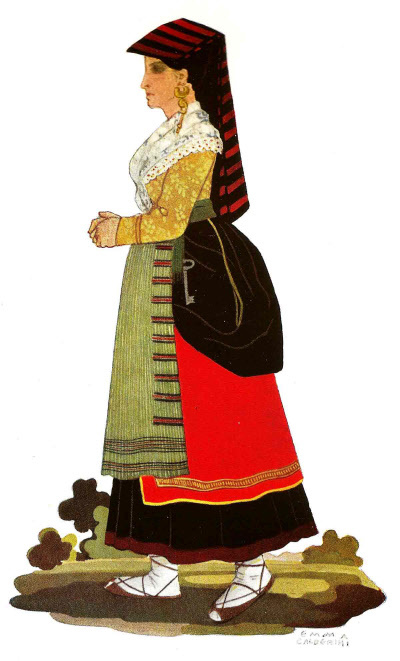 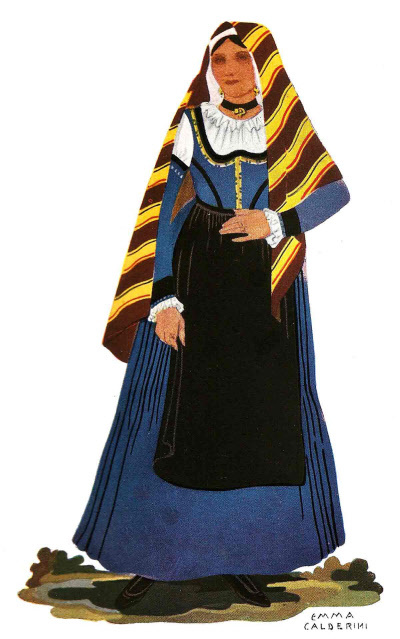 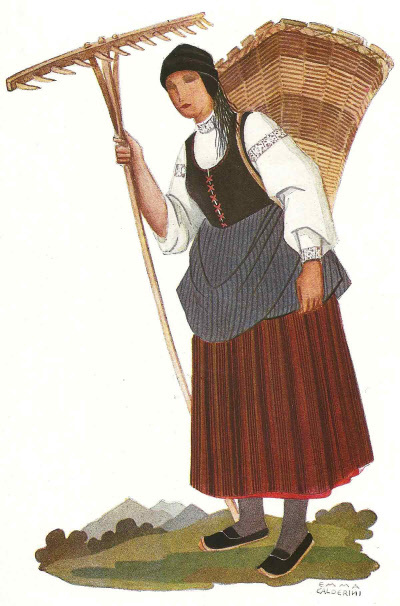 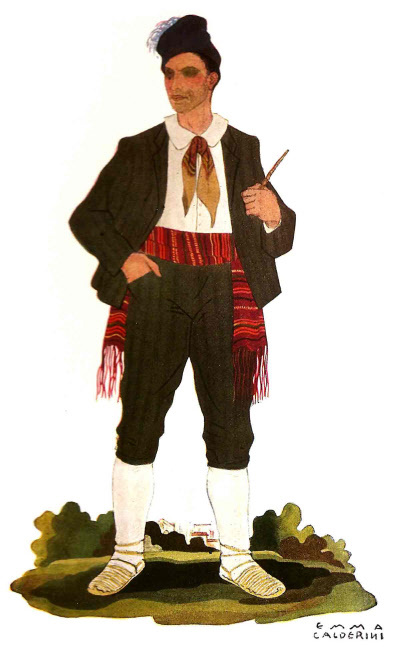 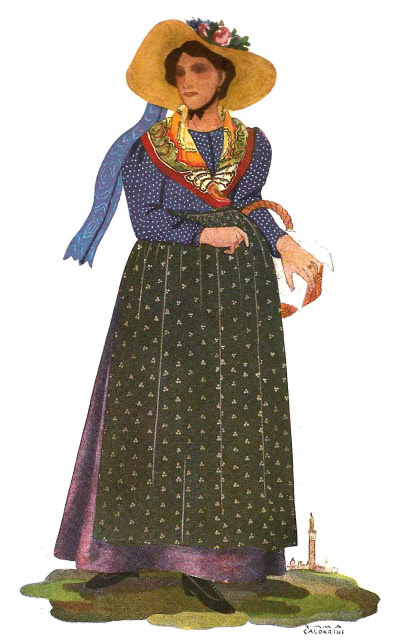 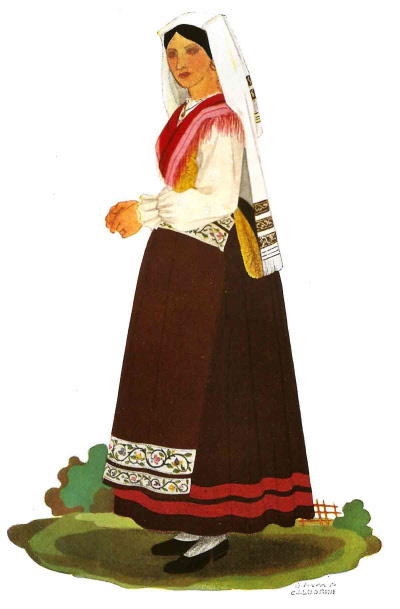 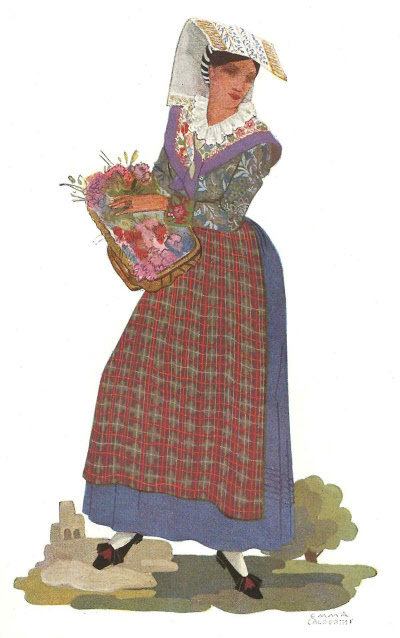 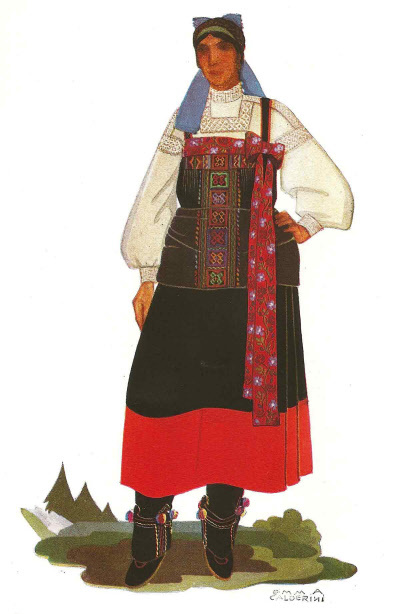 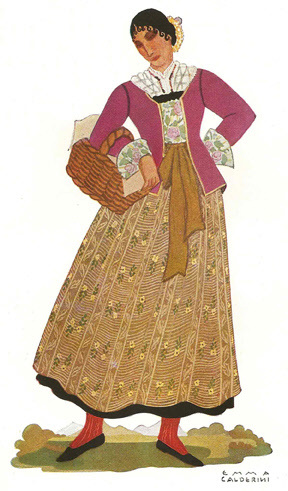 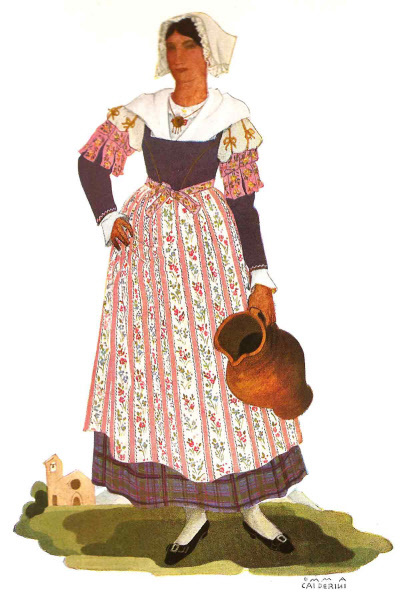 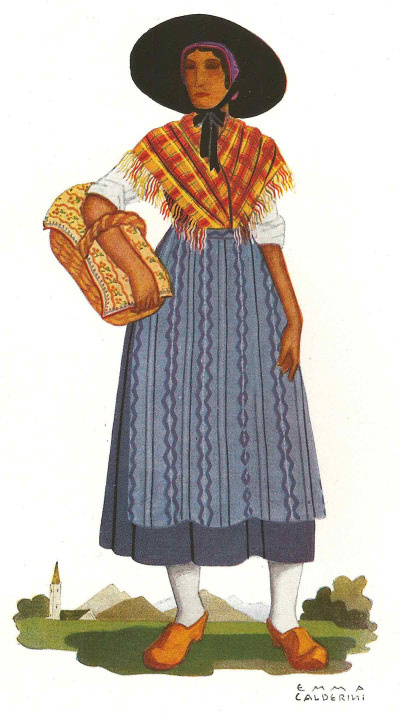 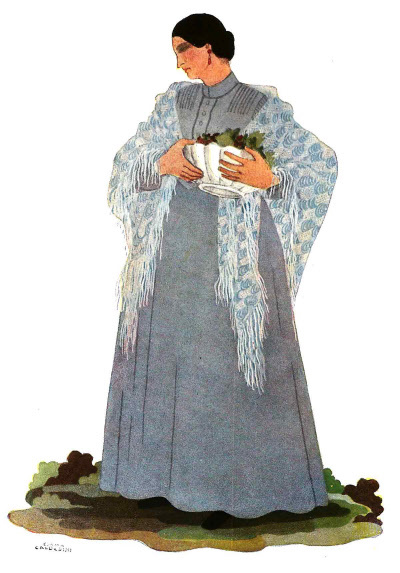 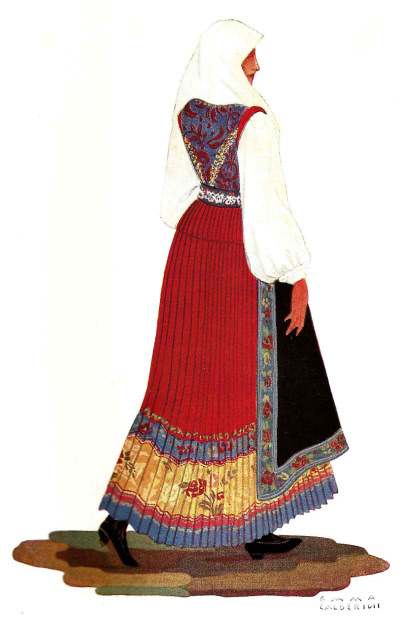 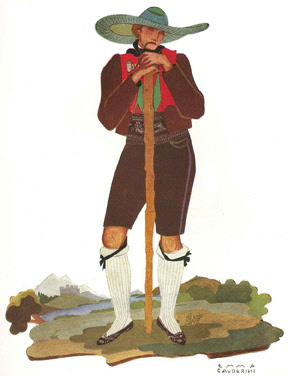 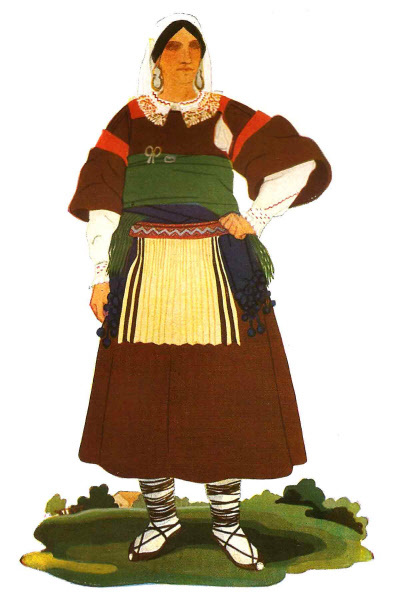 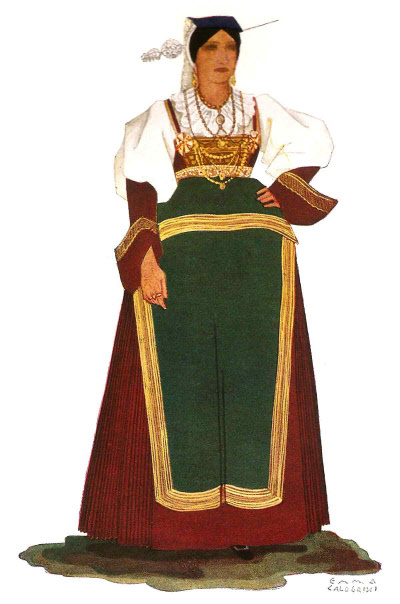 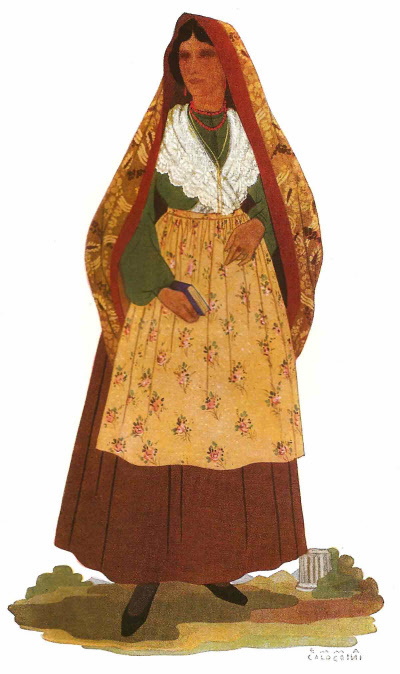 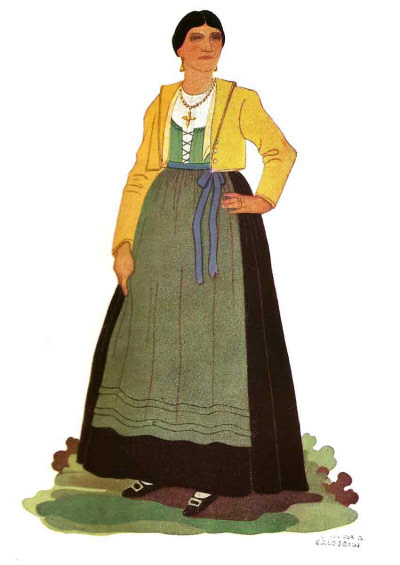 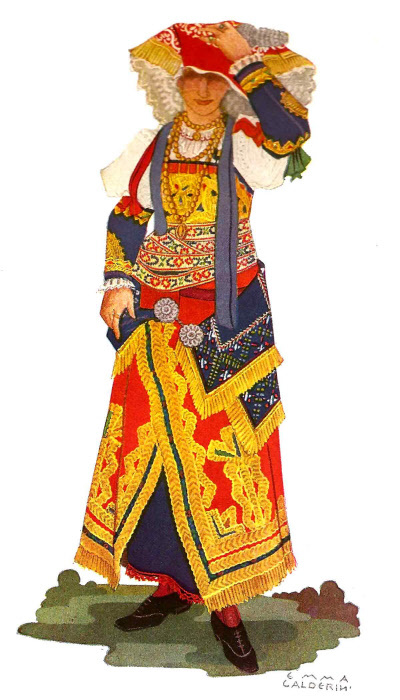 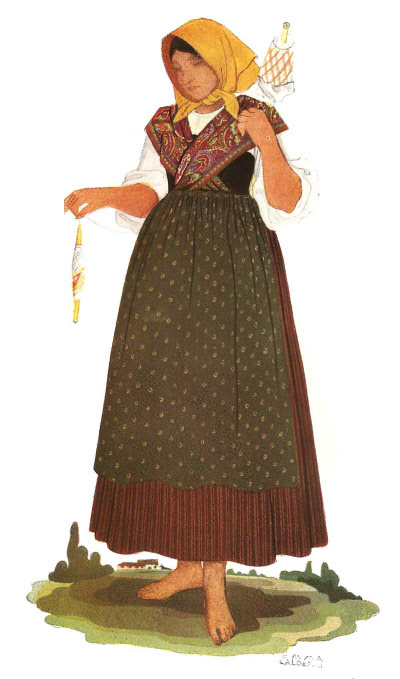 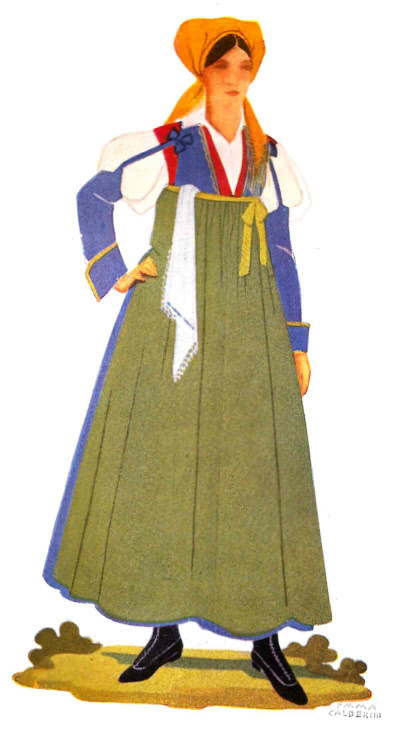 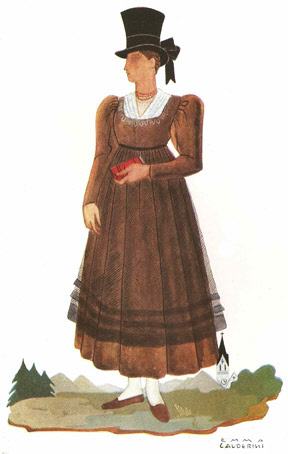 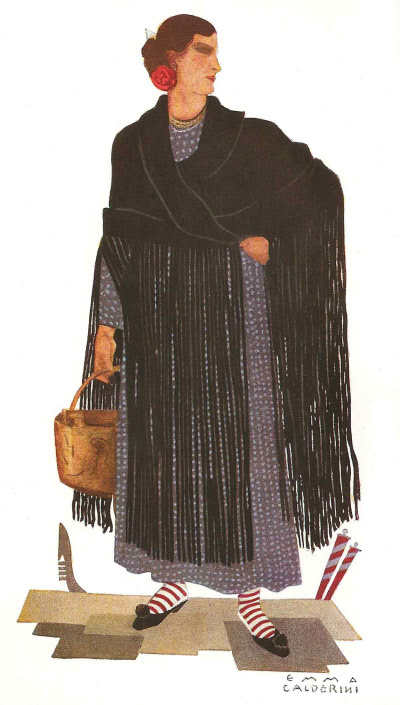 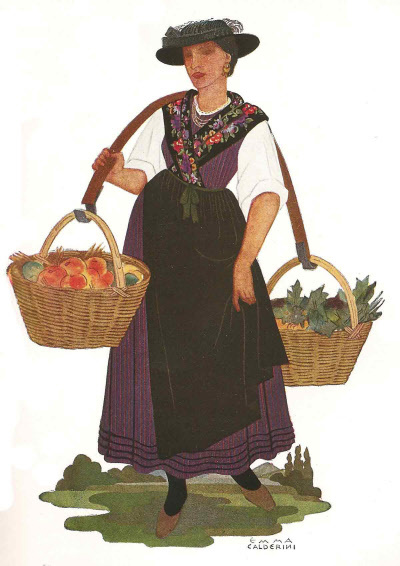 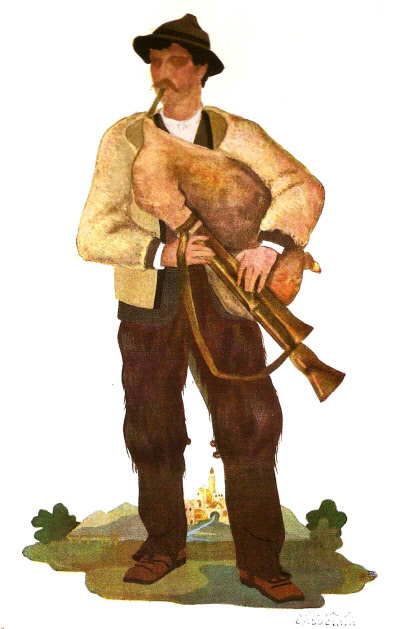 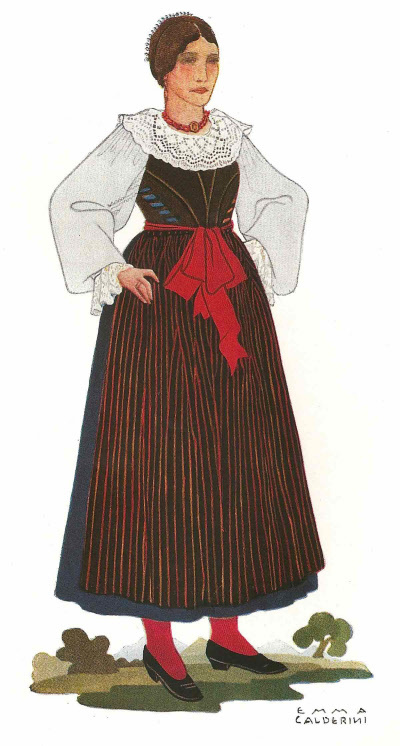 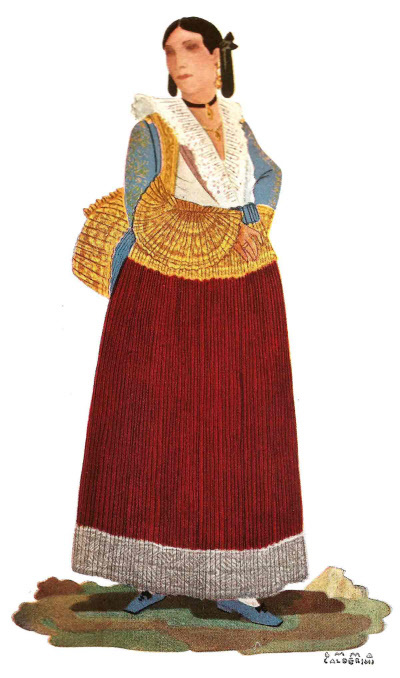 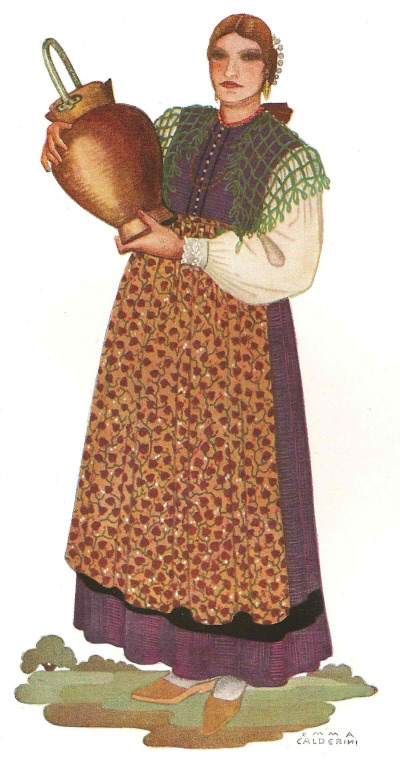 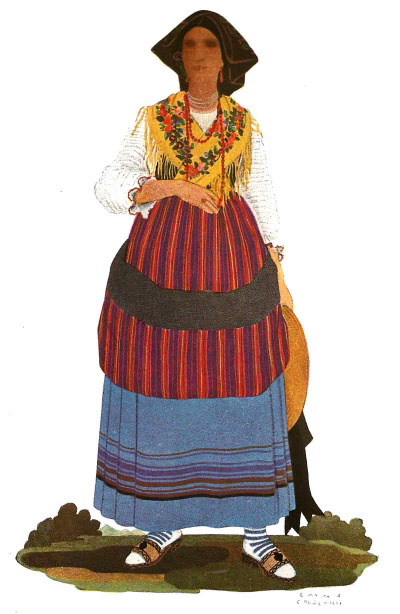 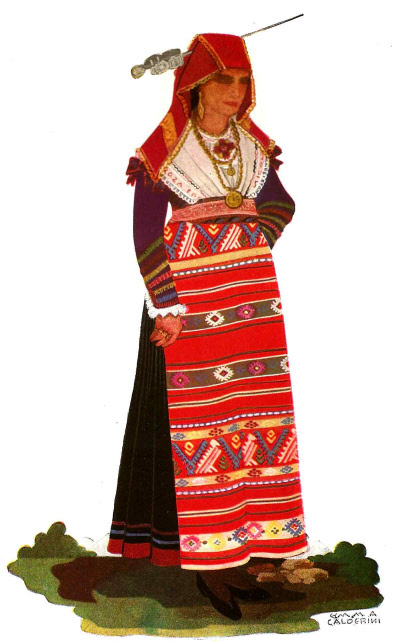 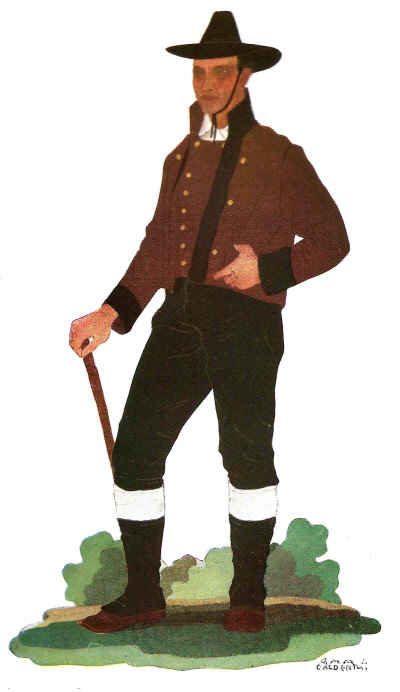 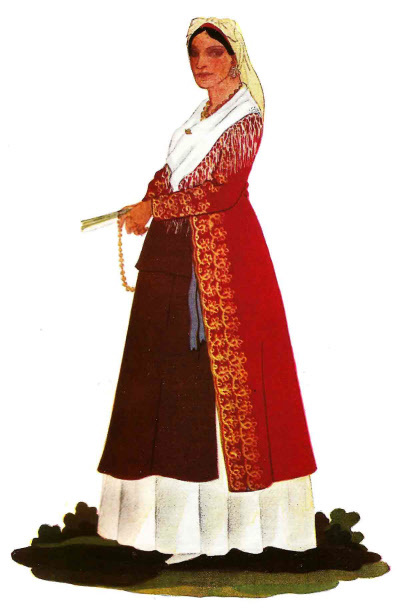 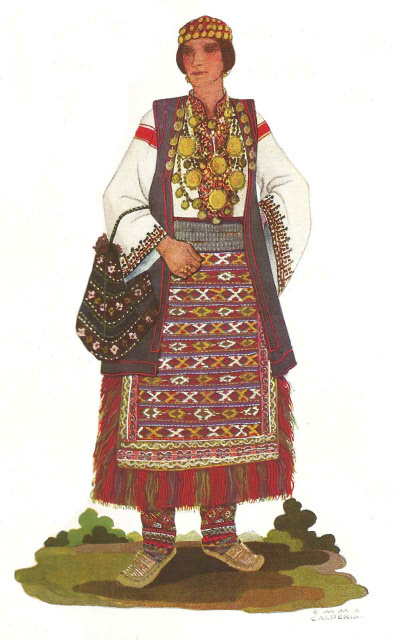 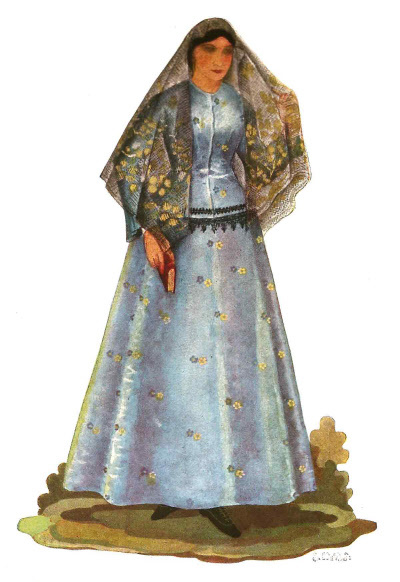 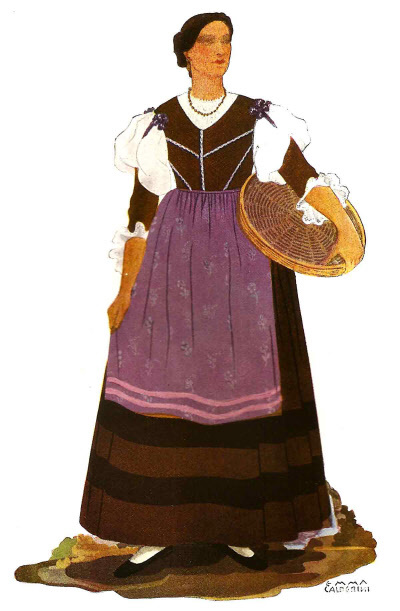 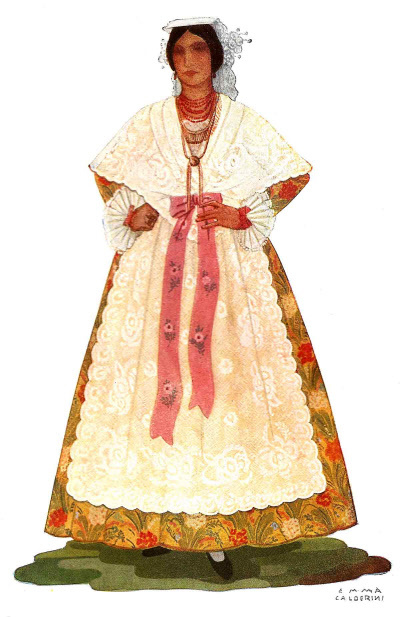 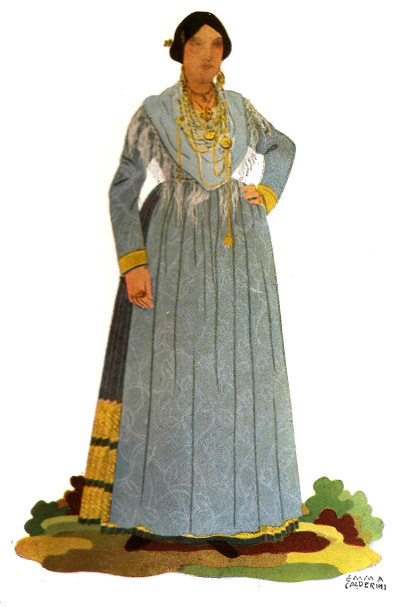 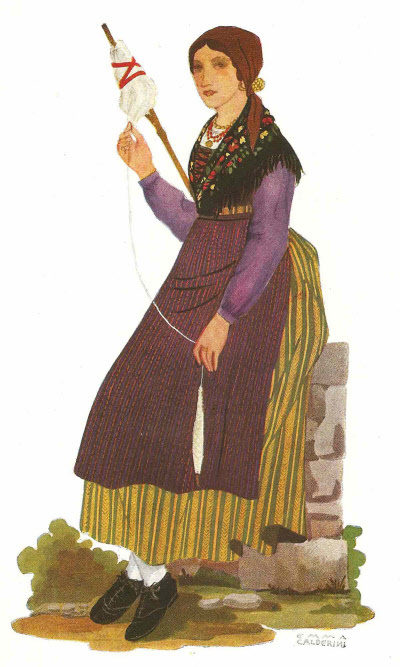 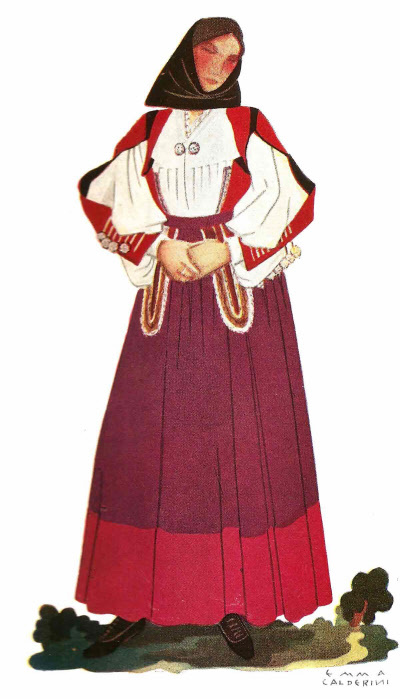 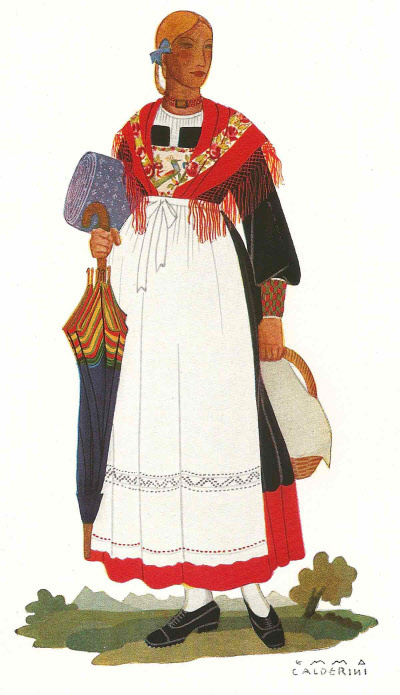 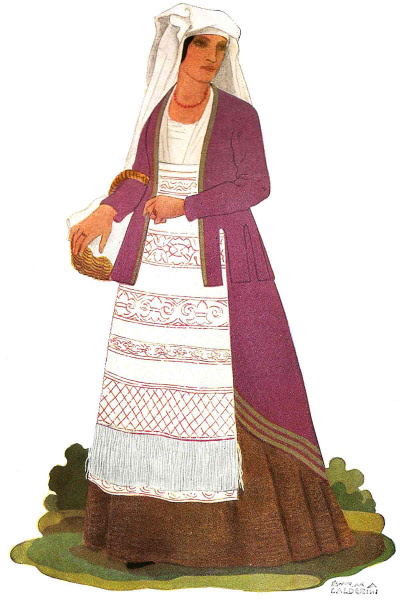 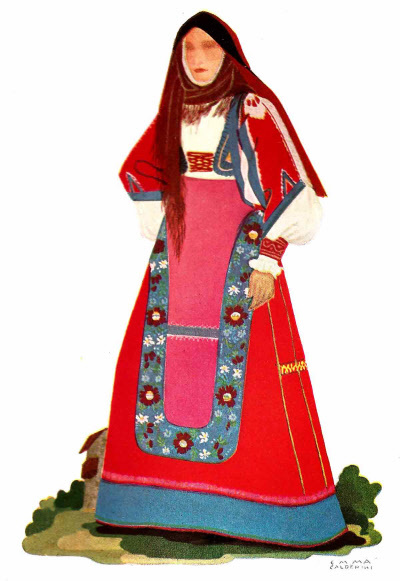 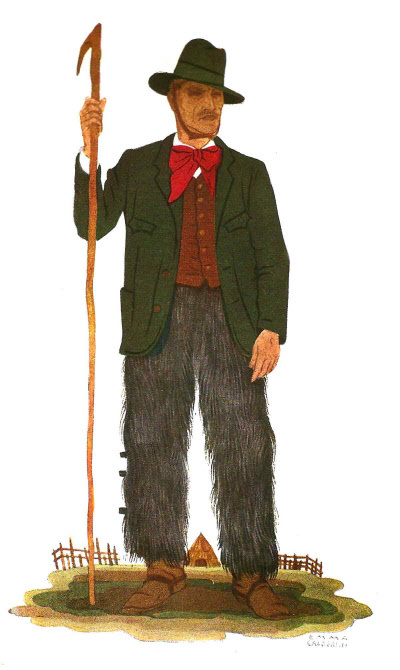 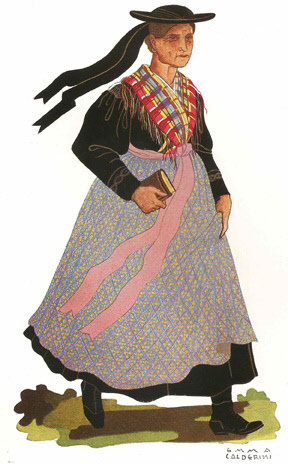 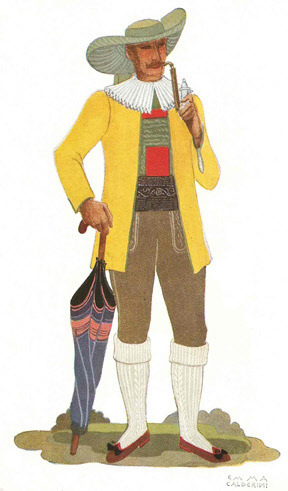 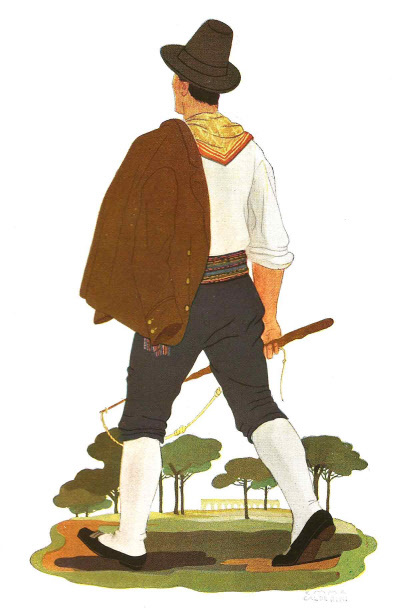 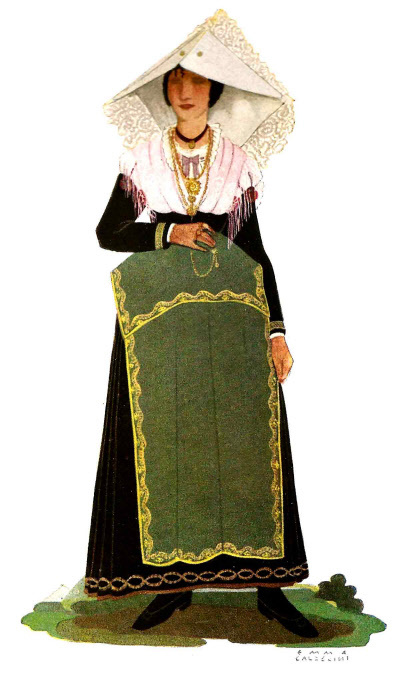 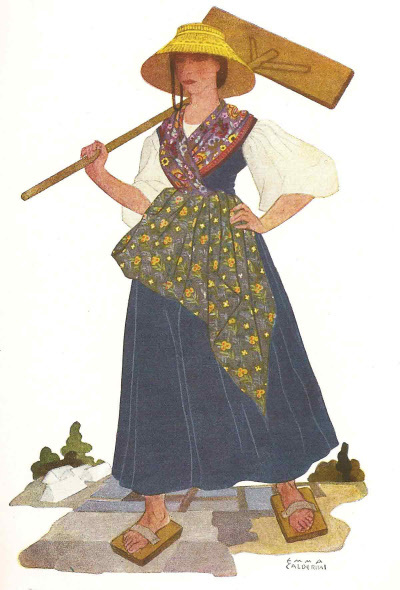 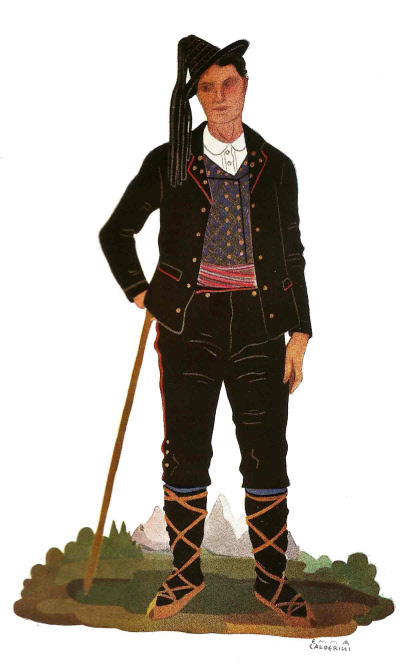 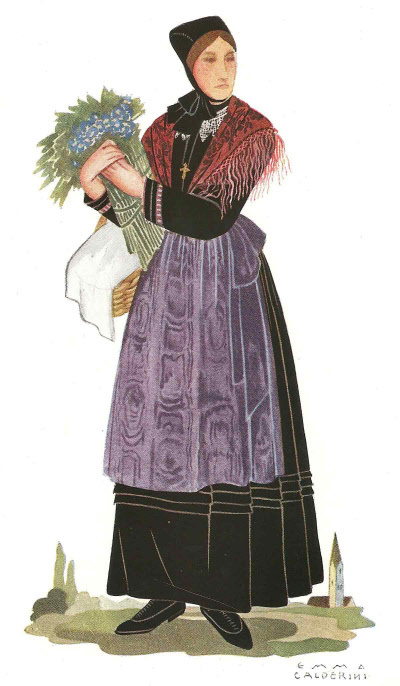 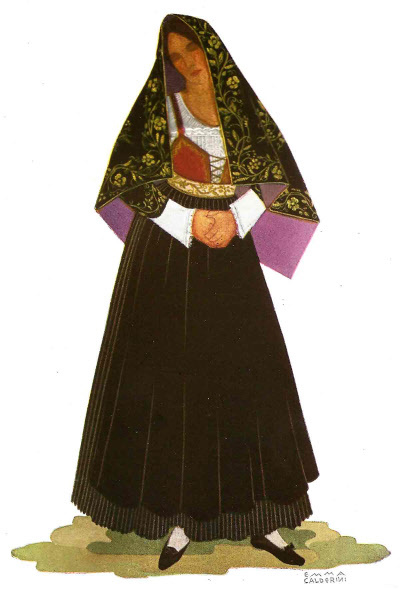 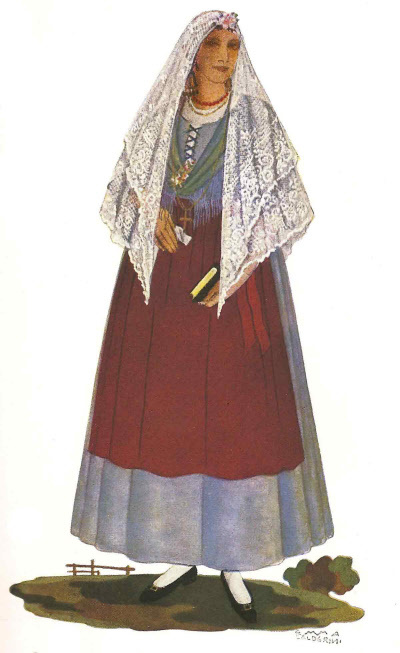 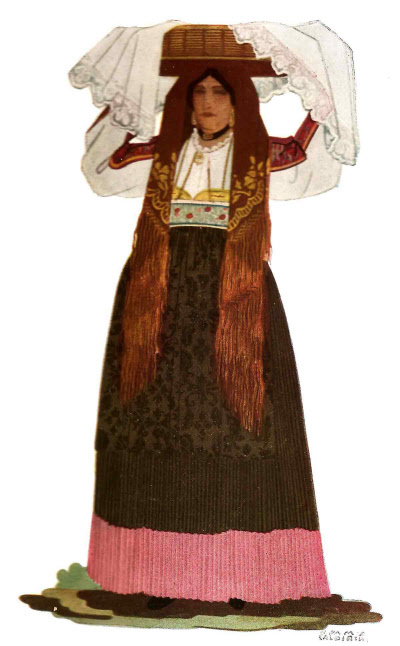 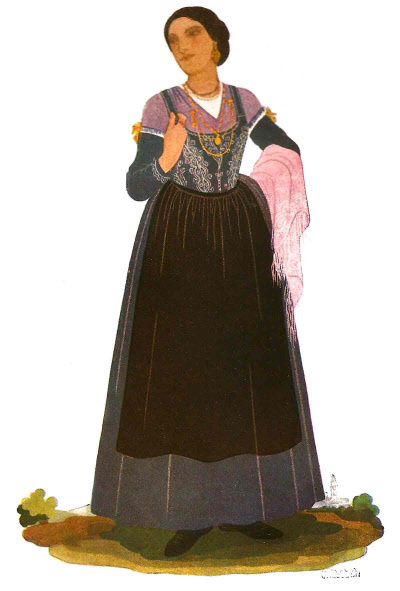 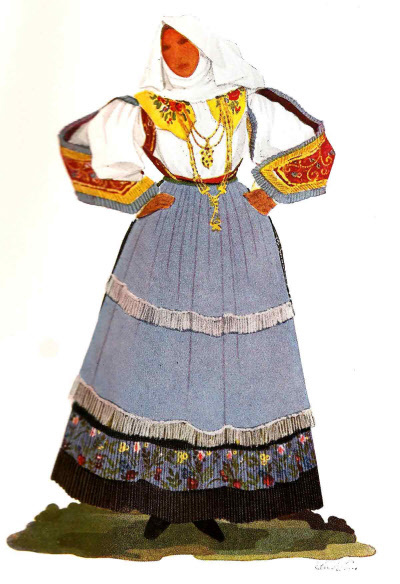 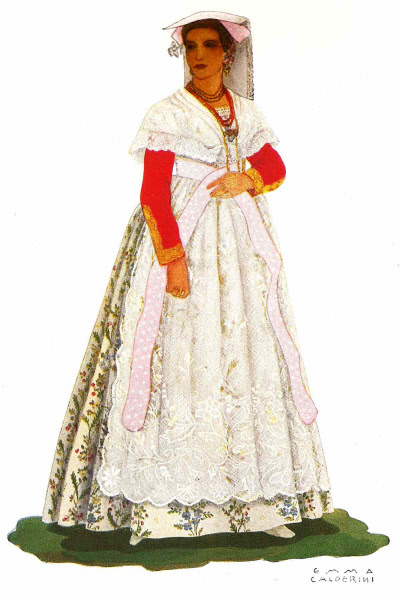 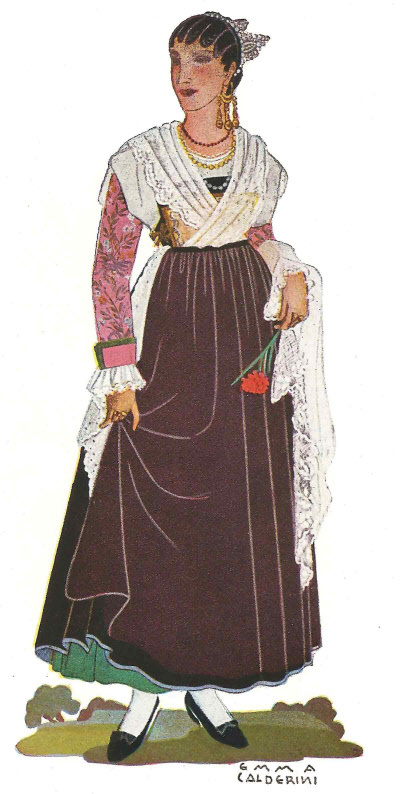 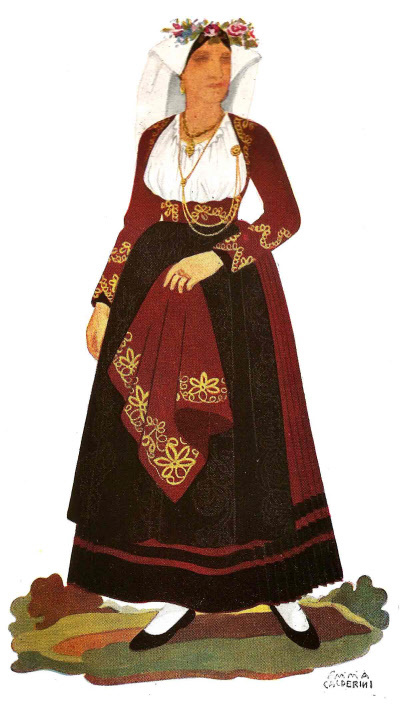 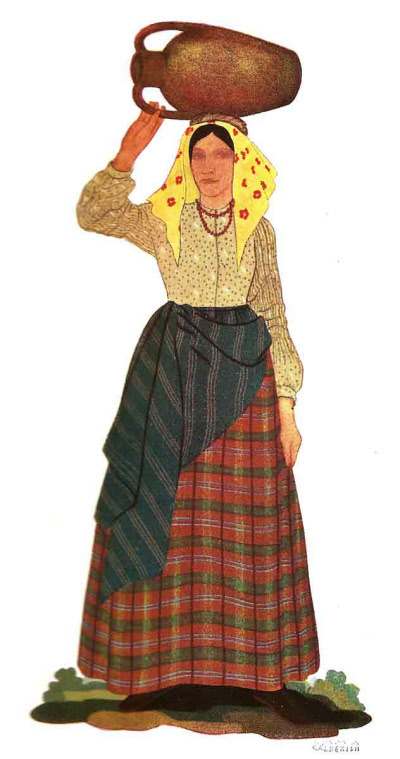 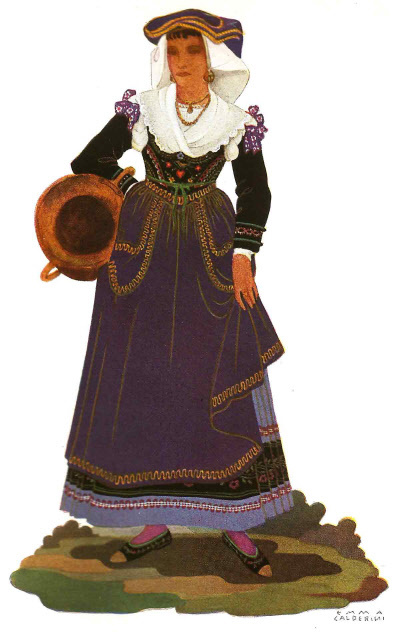 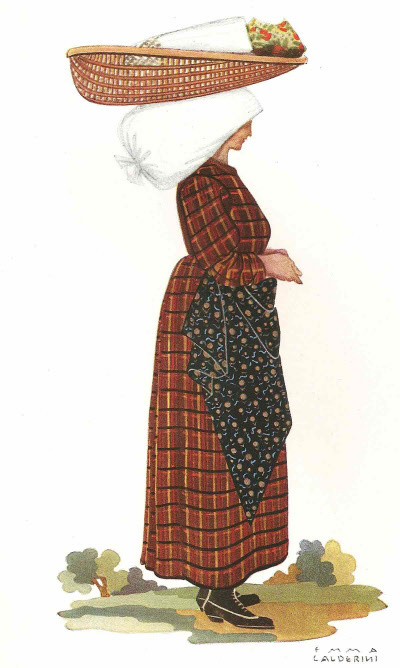 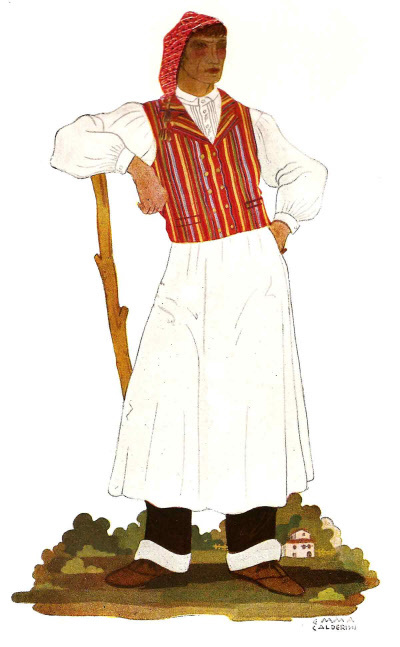 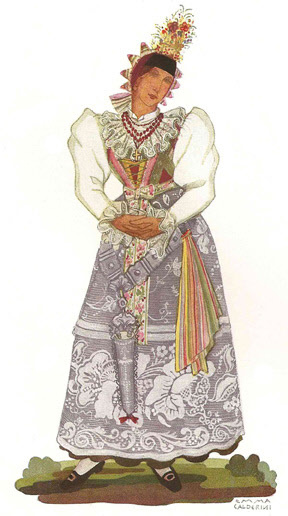 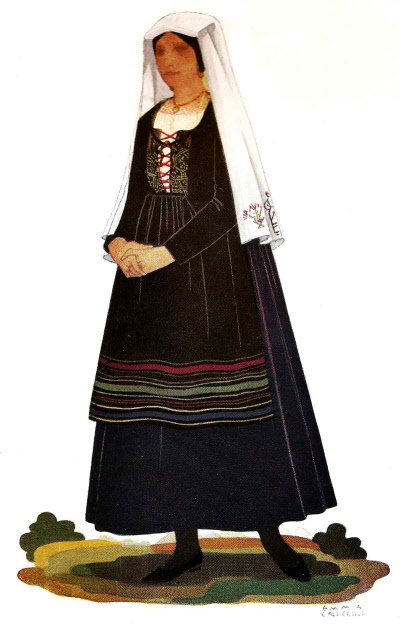 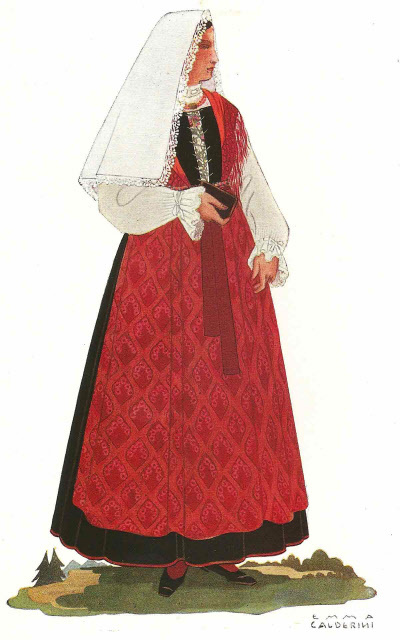 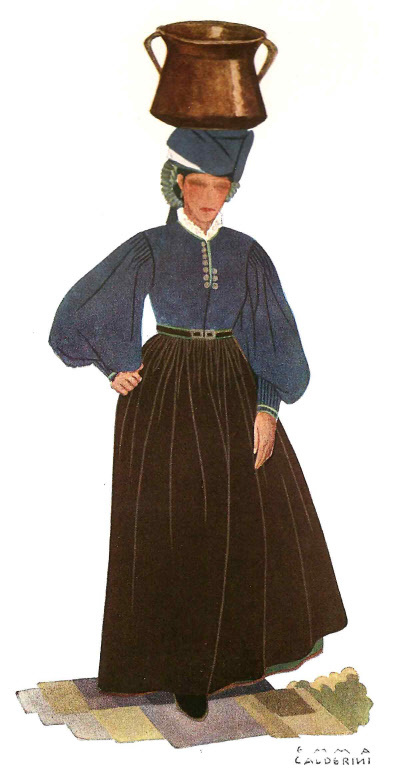 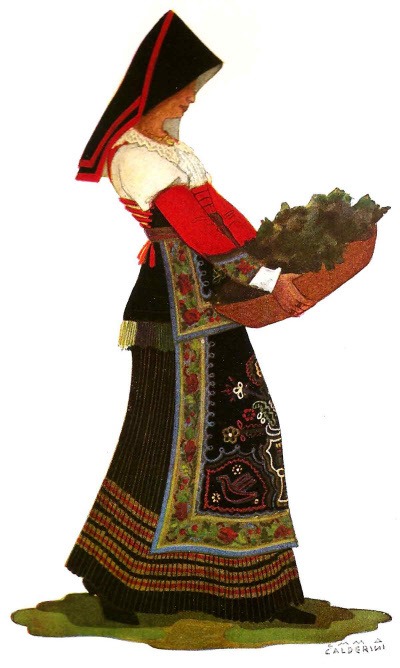 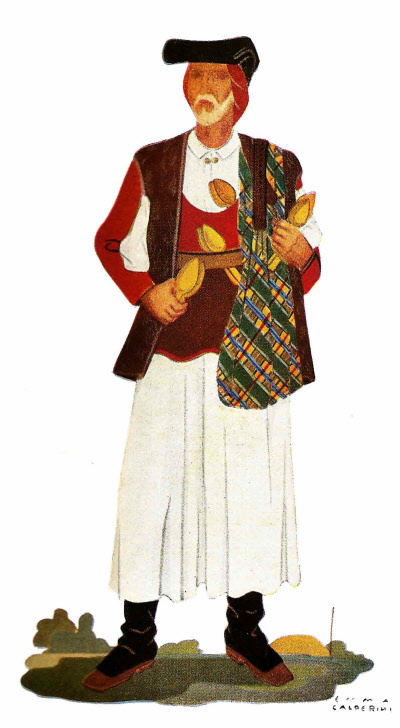 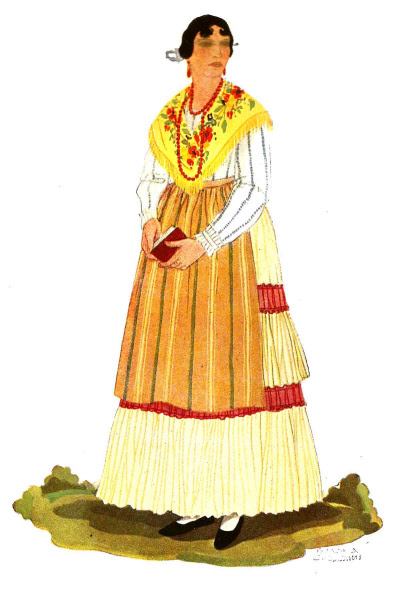 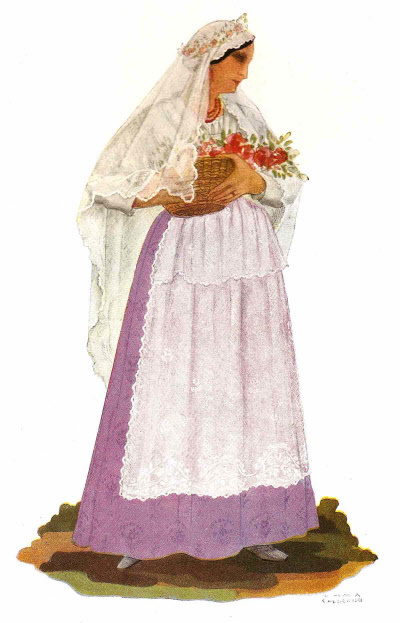 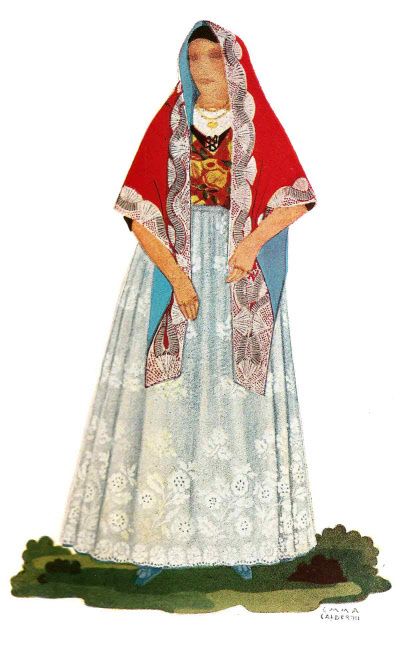 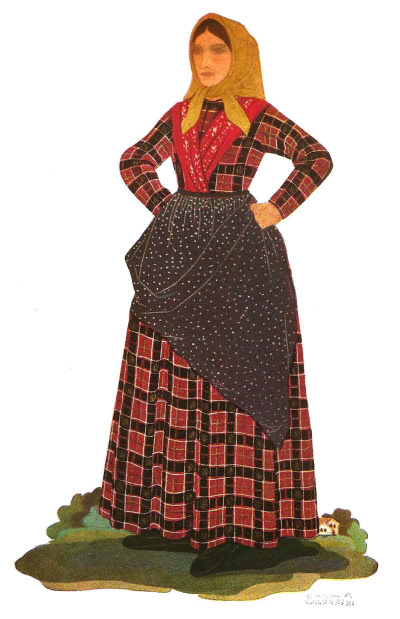 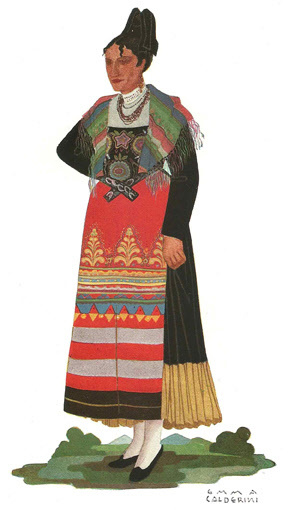 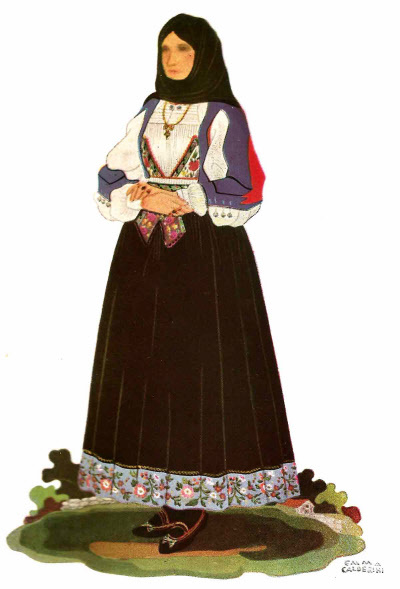 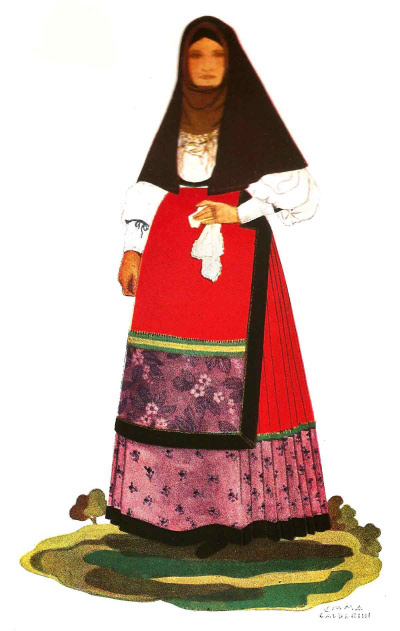 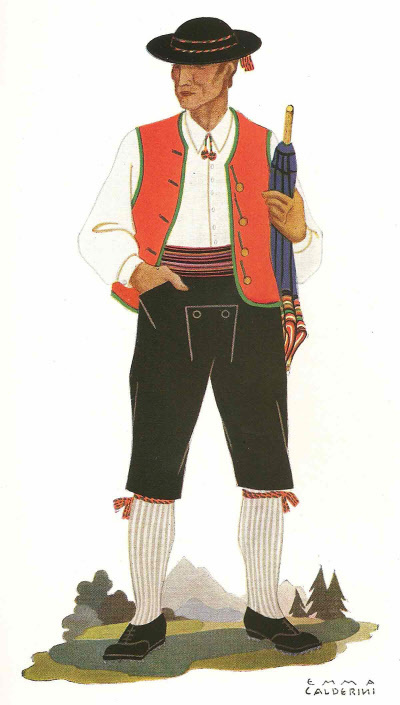 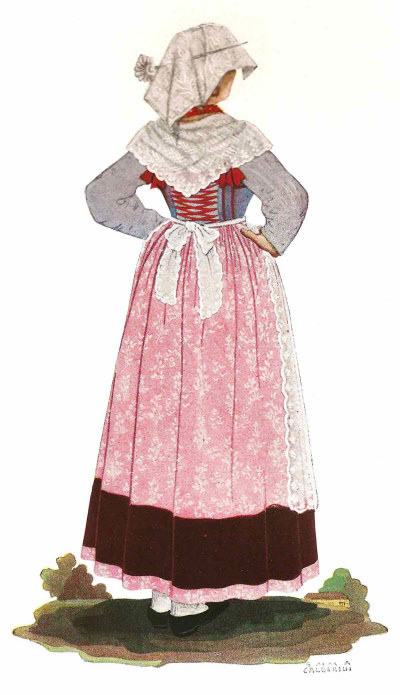 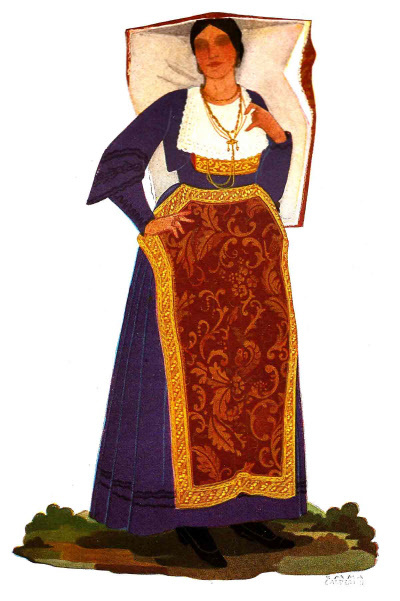 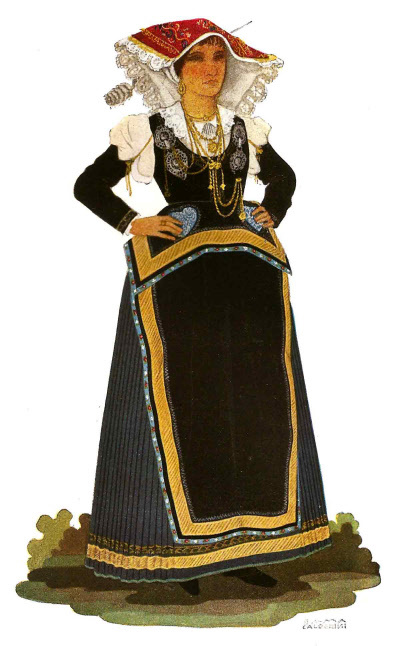 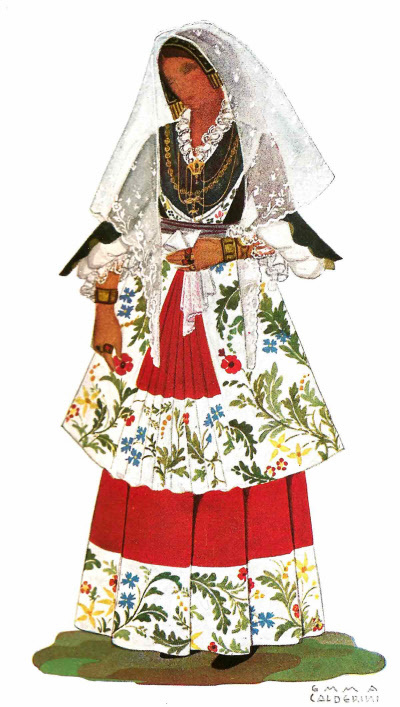 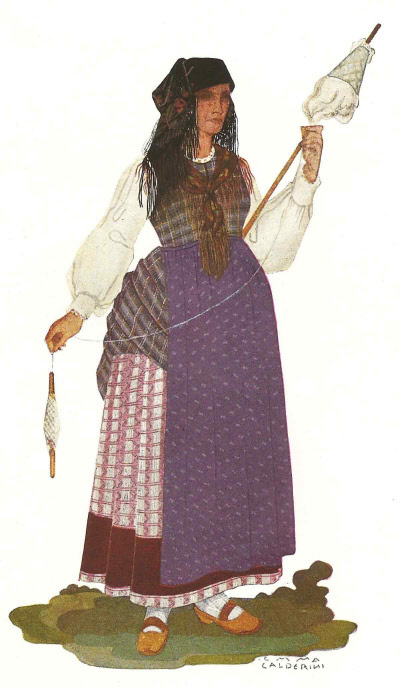 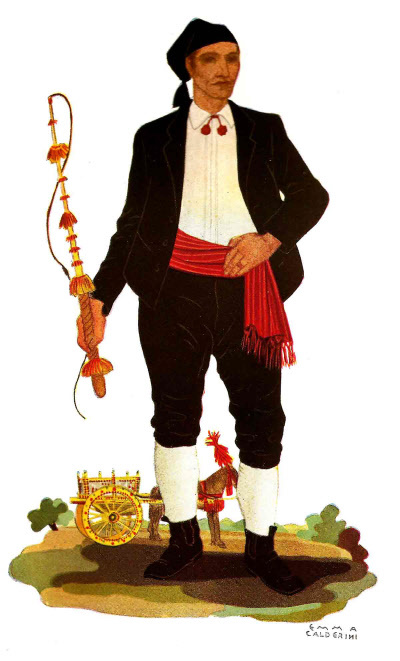 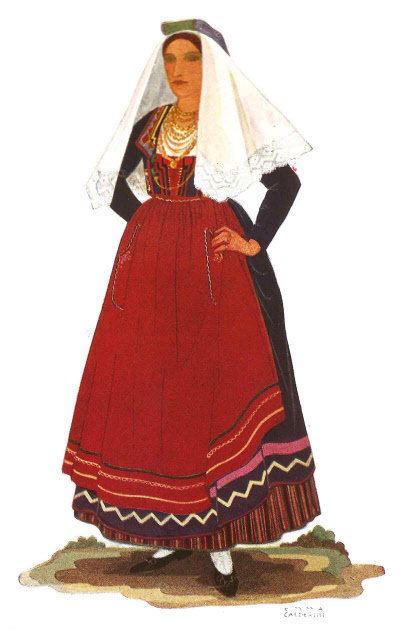 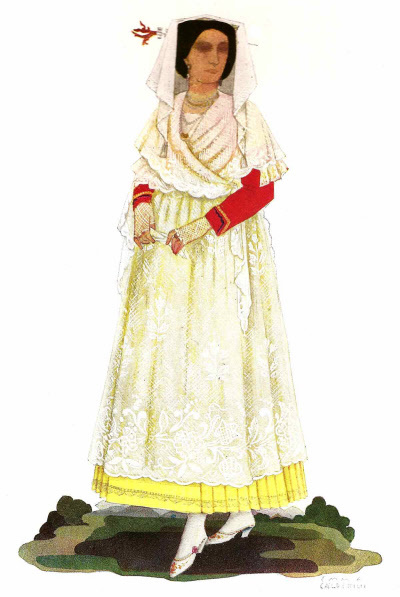 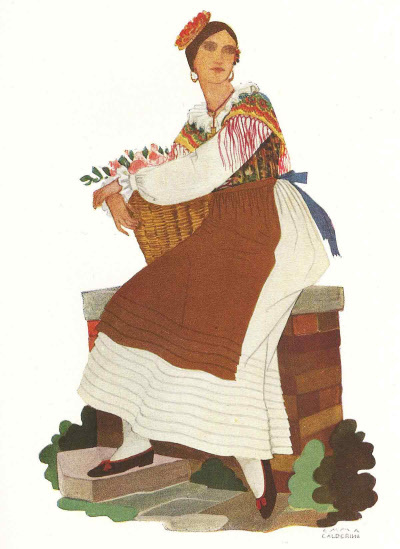 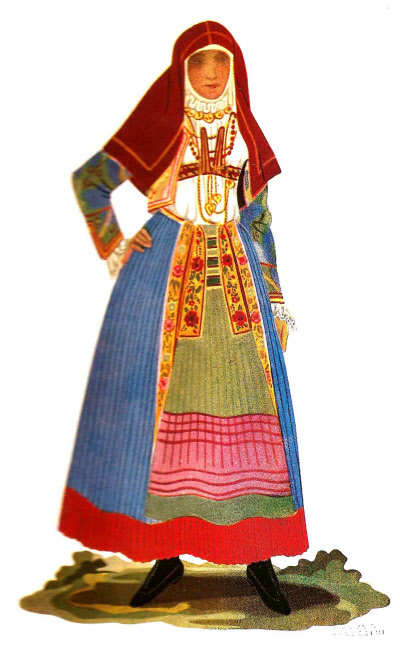 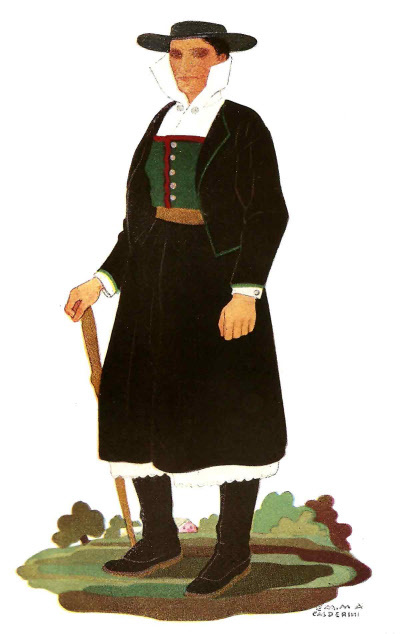 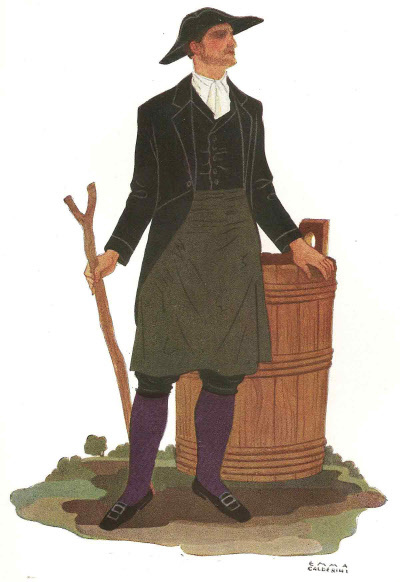 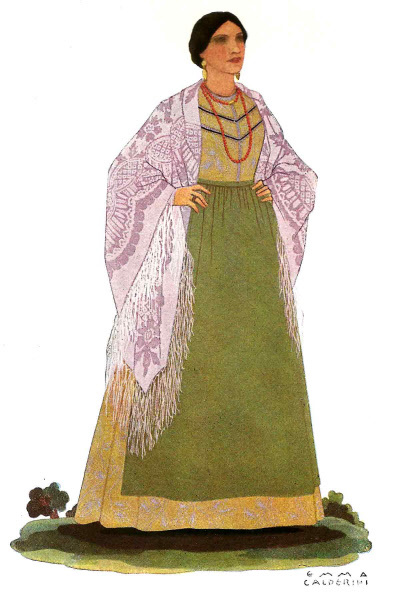 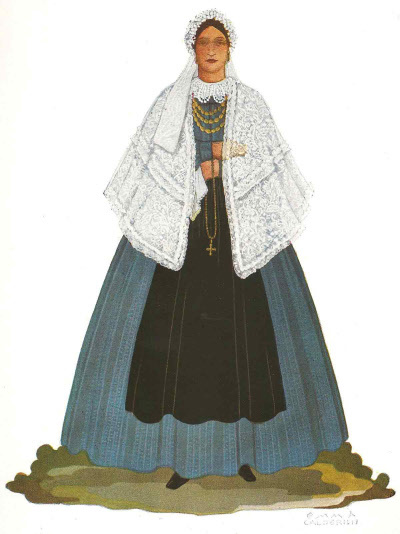 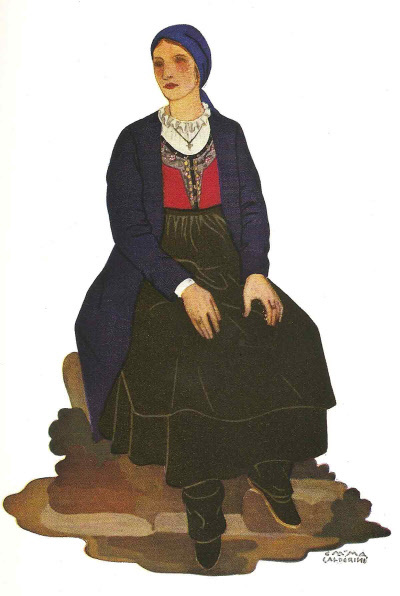 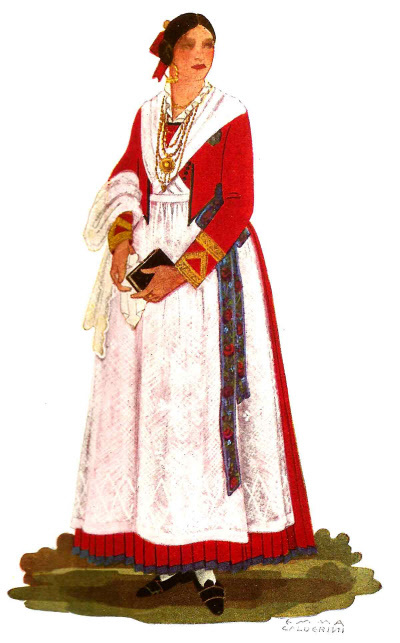 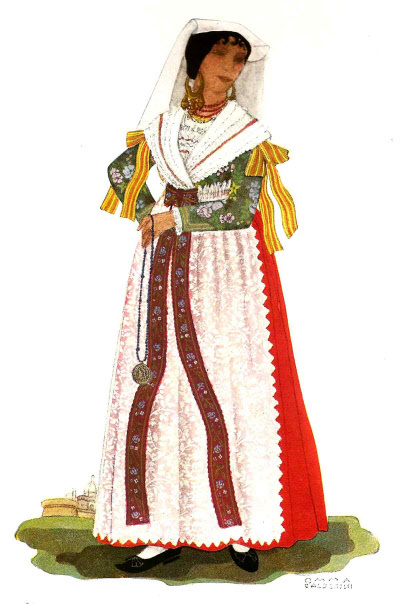 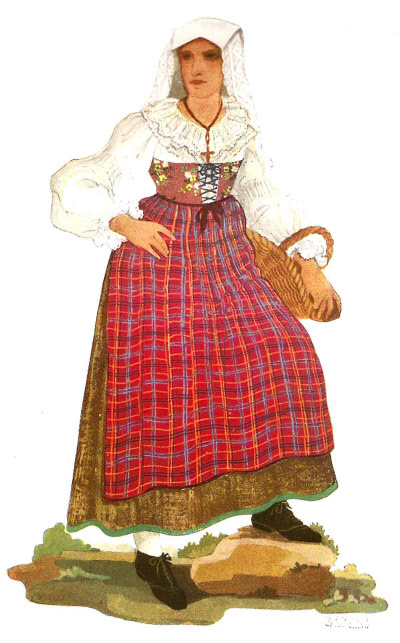 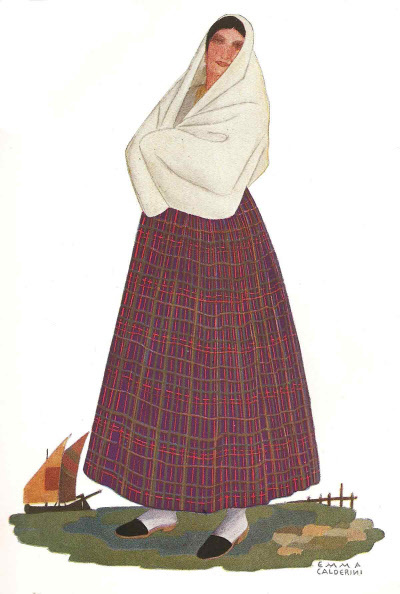 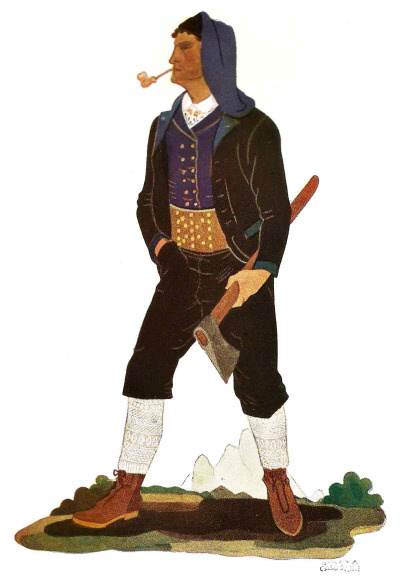 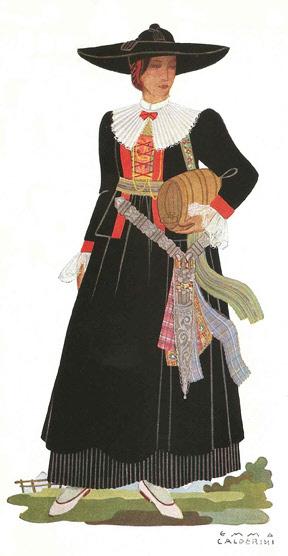 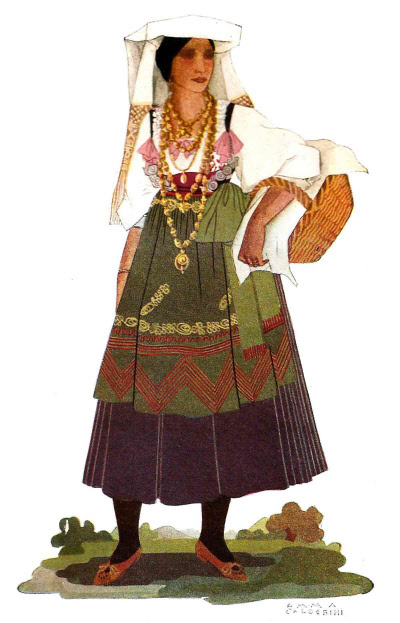 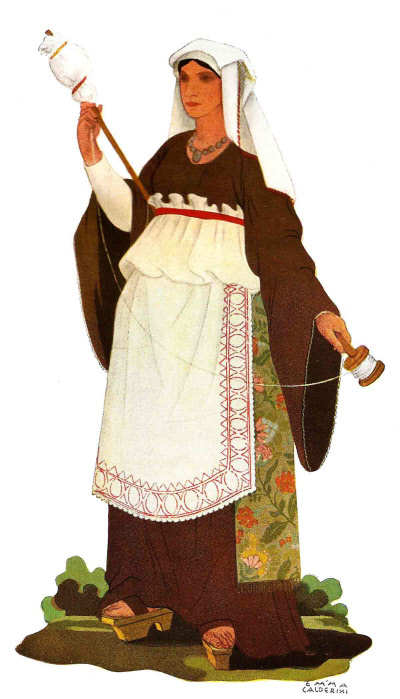 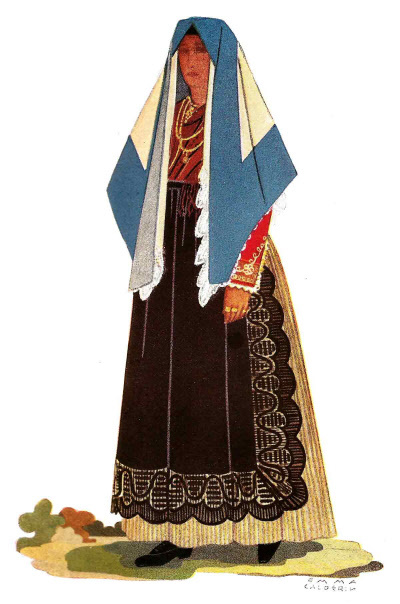 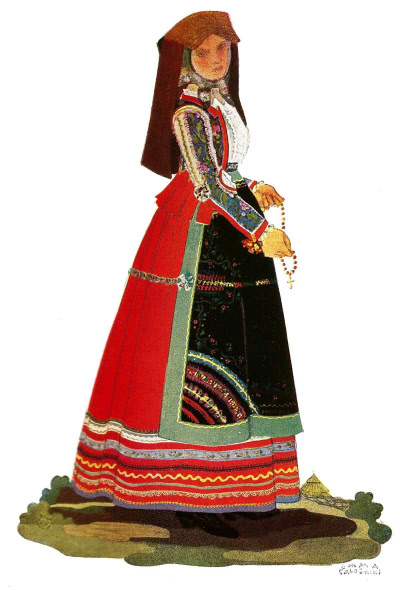 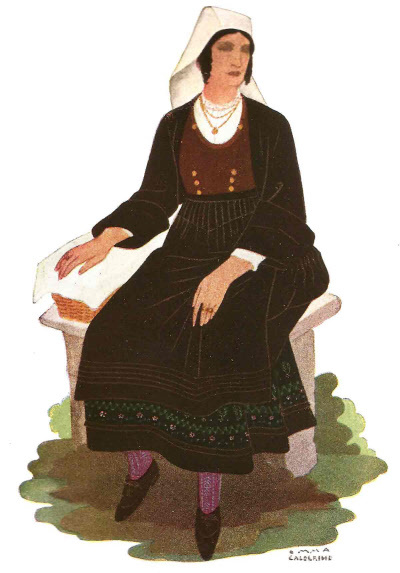 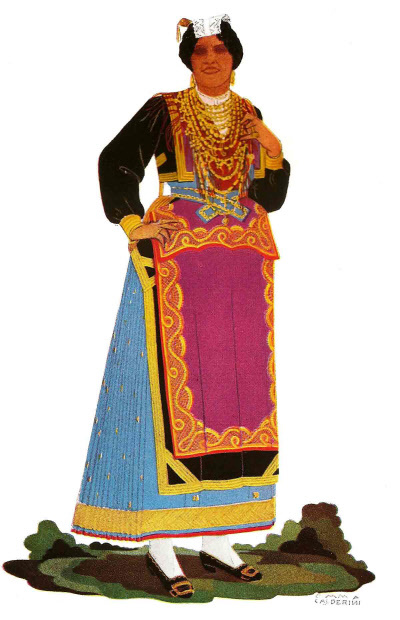 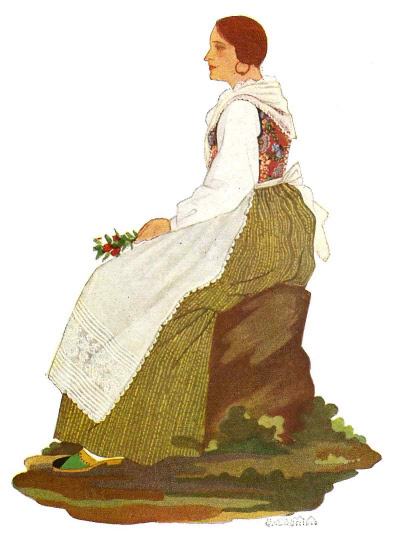 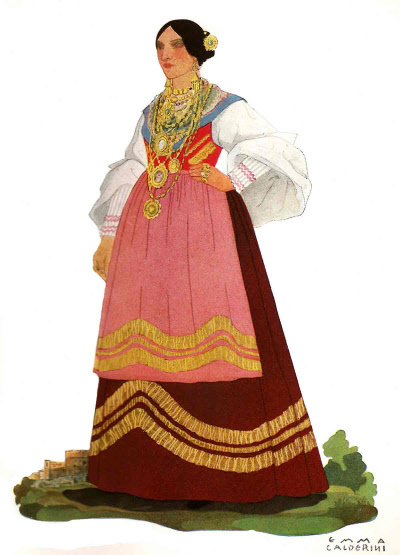 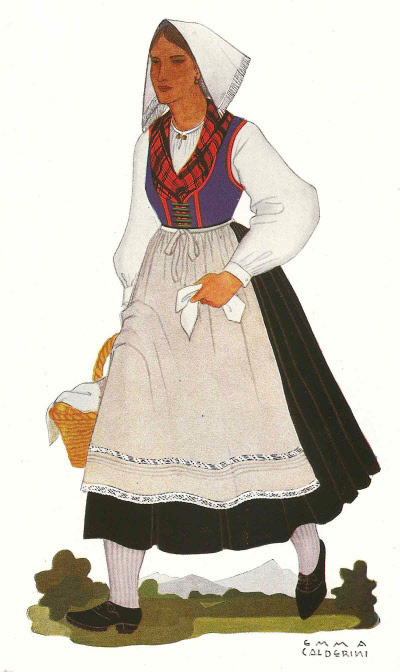 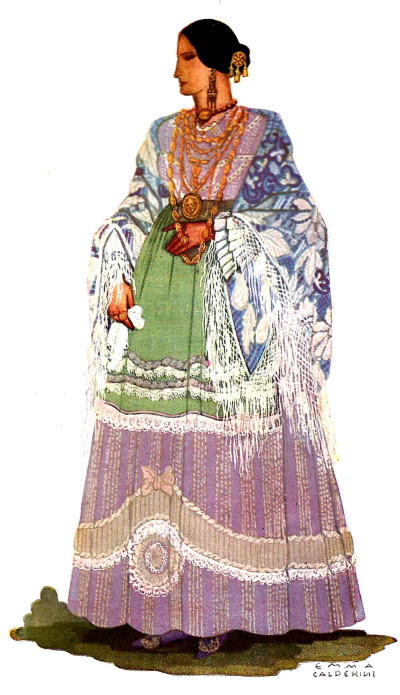 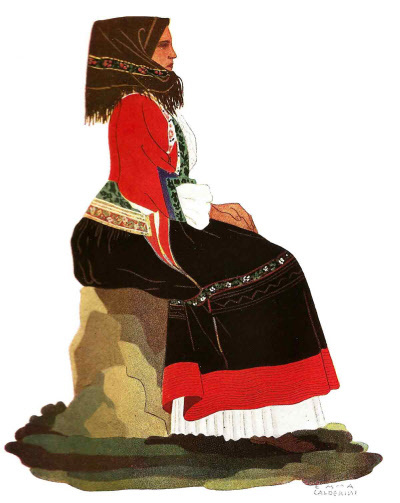 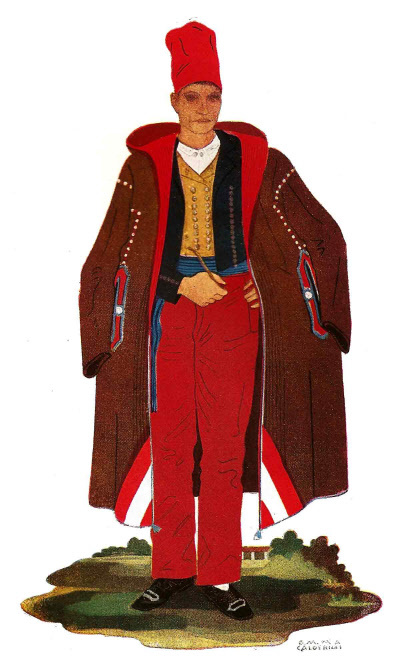 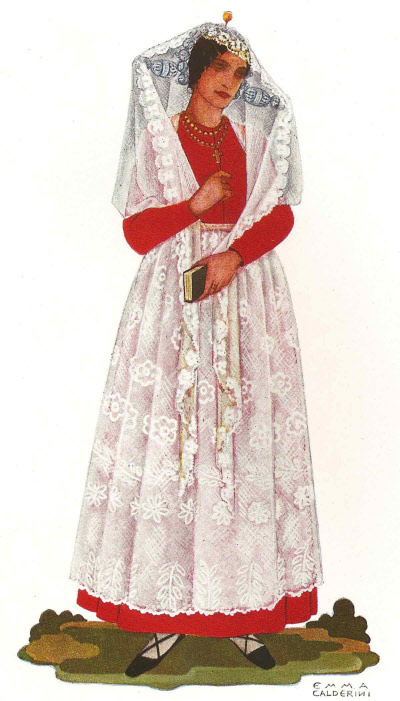 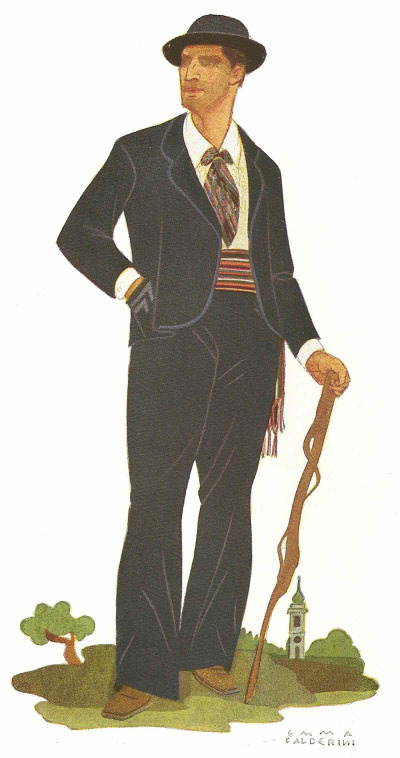 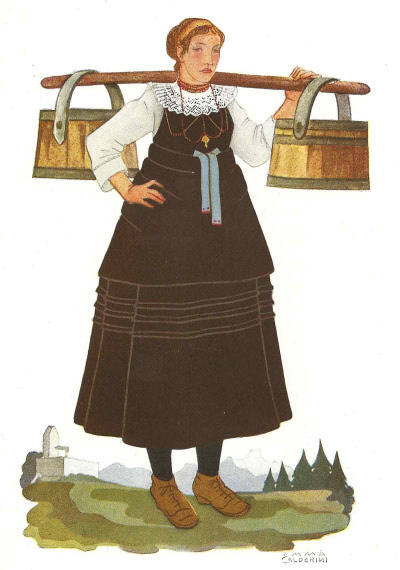 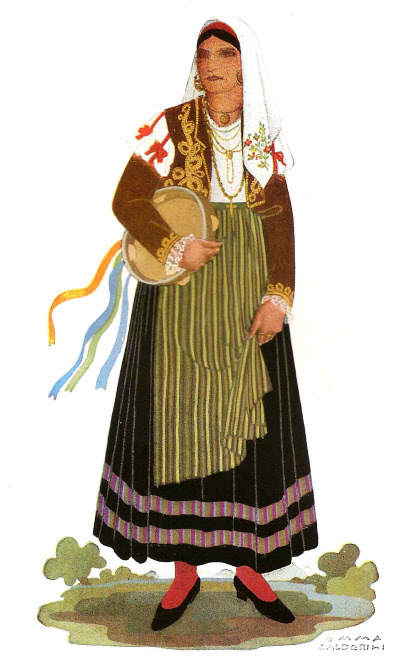 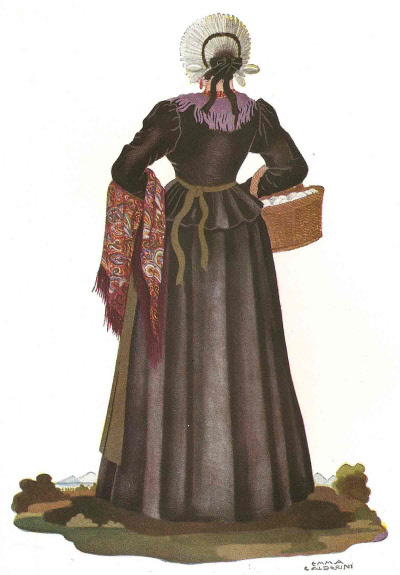 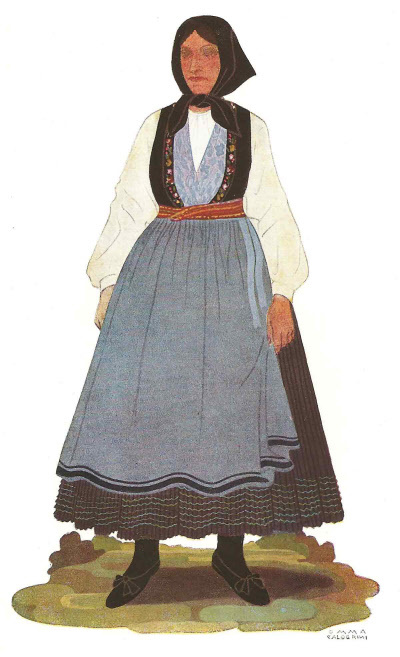 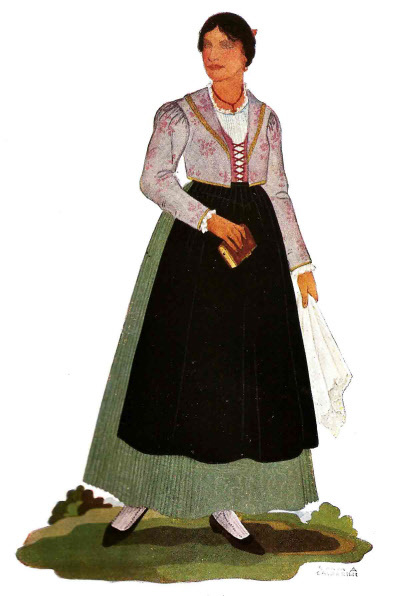 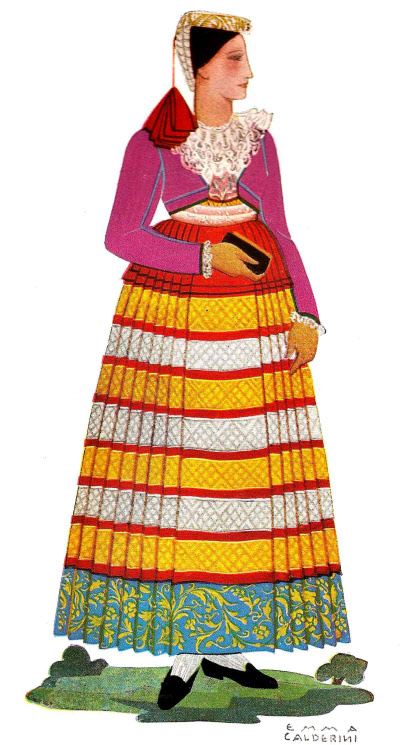 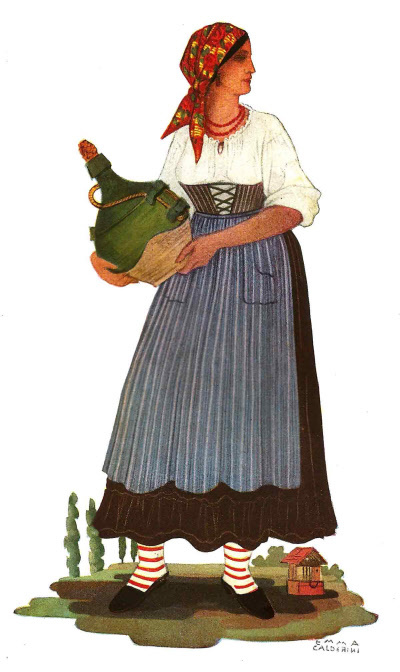 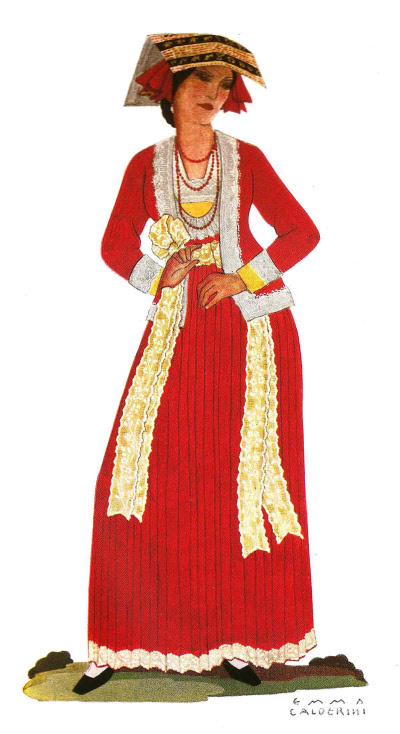 Many of the costume descriptions have been translated in issues of the IFAFA newsletter, Tradizioni. 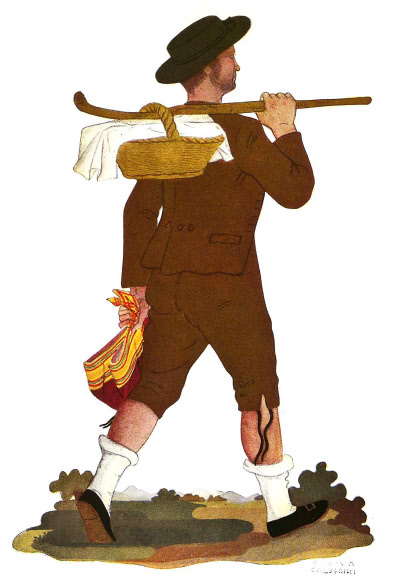 New translations are added with each issue. 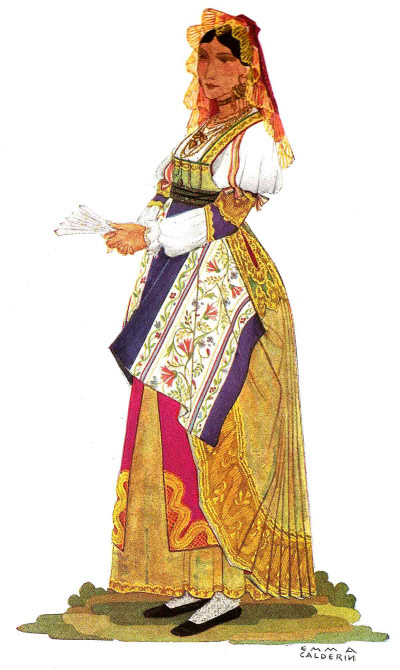 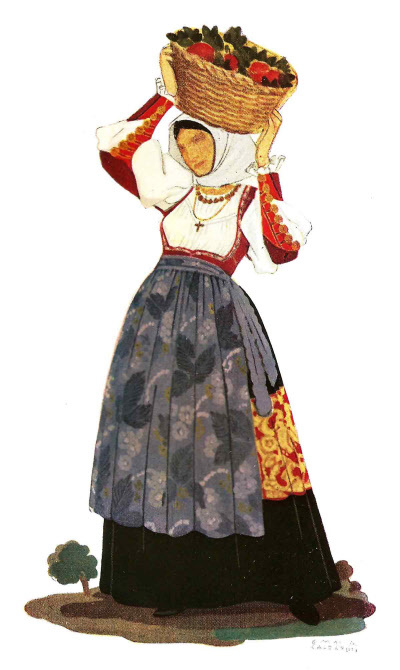 A list of all currently-translated costumes will be found in the Tradizioni Newsletter Index.